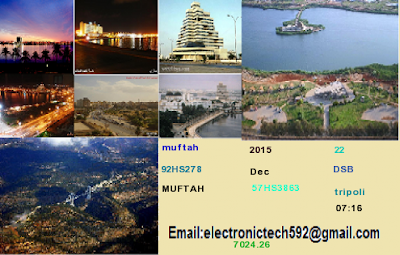 Worked at least 21 Mediterranean Countries. 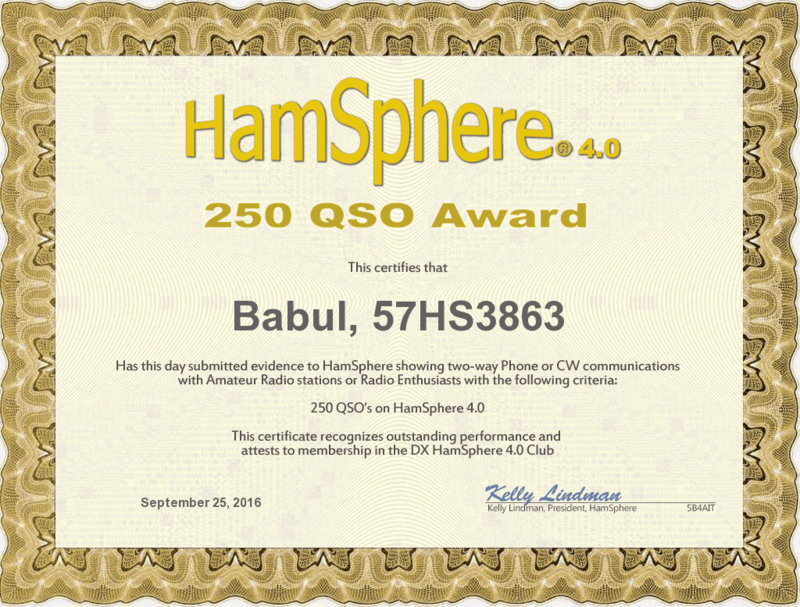 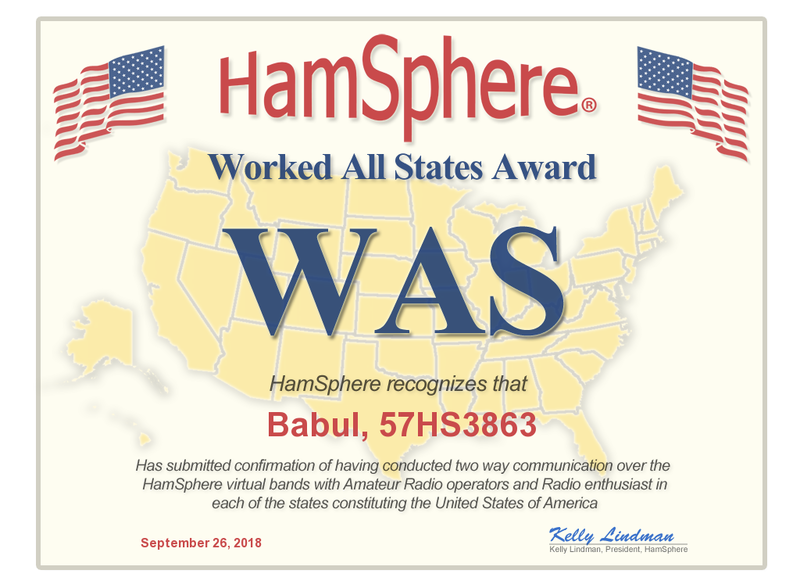 All HS4 shortwave bands valid. 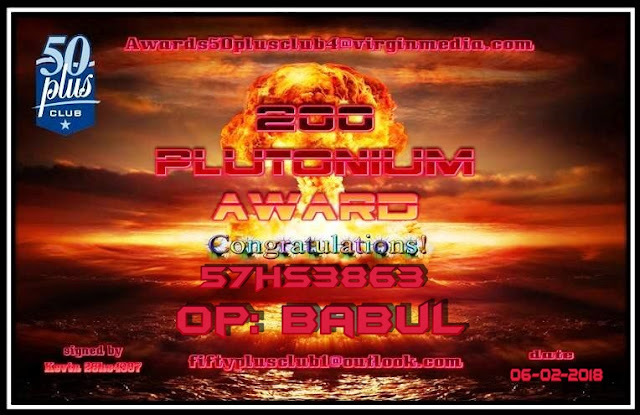 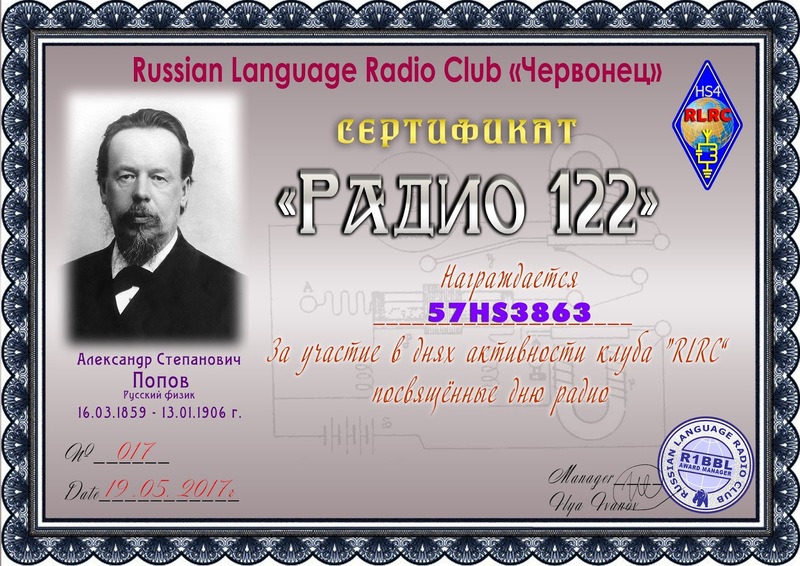 Russian Language Radio Club "Yepboneu"
Russian Language Radio Club "YepBoHeu"
7X2CE - Ferdaji from Bordi Menail, Algeria. 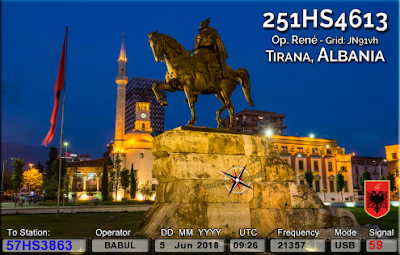 251HS4613 - Rene from Tirana, Albania. 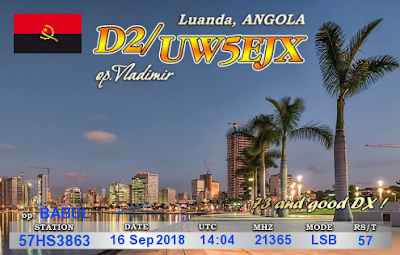 D2/UW5EJX - Vladimir from Luanda, Angola. 51HS115 - Josef from Andorra. 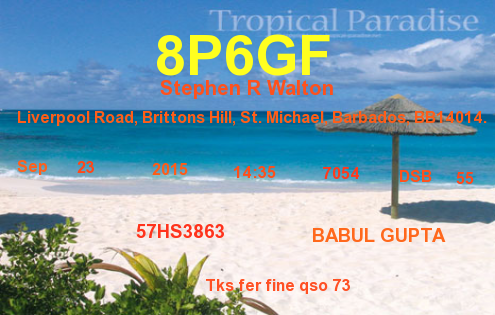 ANTIGUA AND BARBUDA - 120HS166 - Glyne from St. George, Antigua and Barbuda. 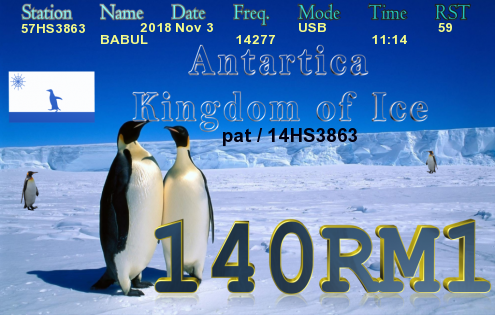 140RM1 - Pat from Antartica. 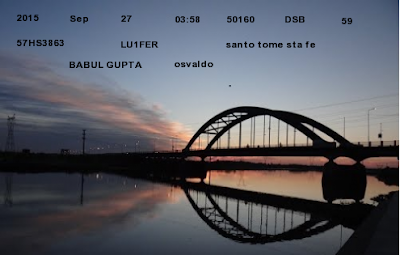 LU2FER - Osvaldo from Santo Tome Sre fe, Argentina. 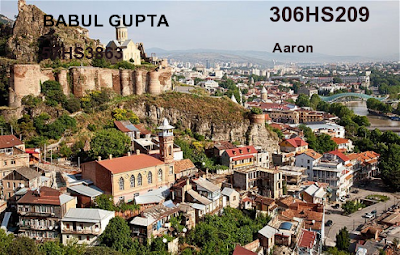 301HS147 - Alex from Yerevan, Armenia. 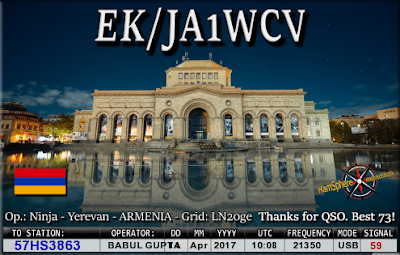 EK/JA1WCV - Ninja from Yerevan, Armenia. 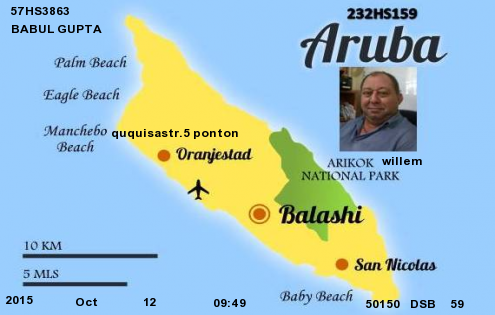 232HS159 - Willen from Aruba. 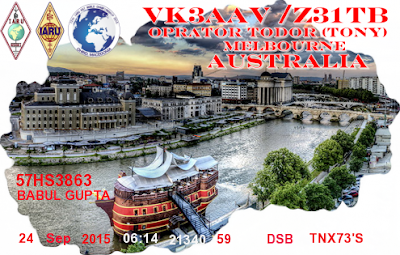 VK3AAV -Todor (Tony) from Melbourne, Australia. 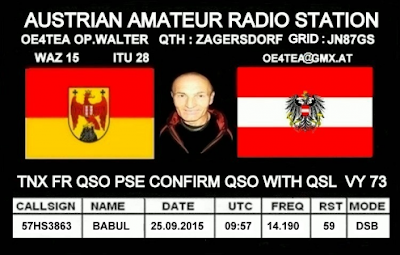 OE4TEA - Walter from Zagersdorf, Austria. 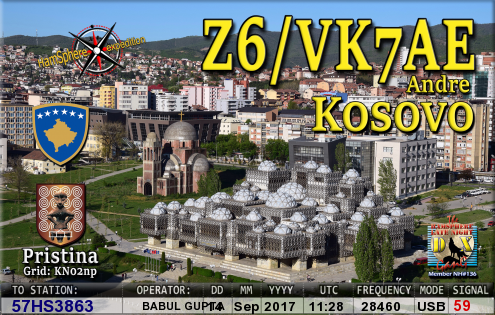 4J3J - Oktaj from Kurdamir, Azerbaizan. 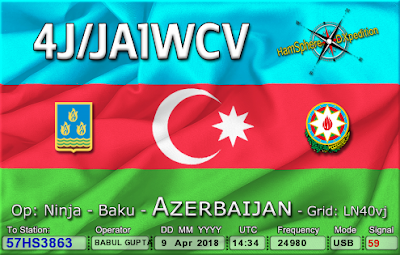 4J/JA1WCV - Ninja from Baku, Azerbaijan. 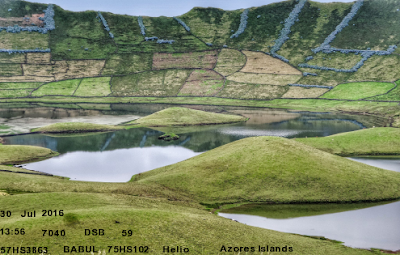 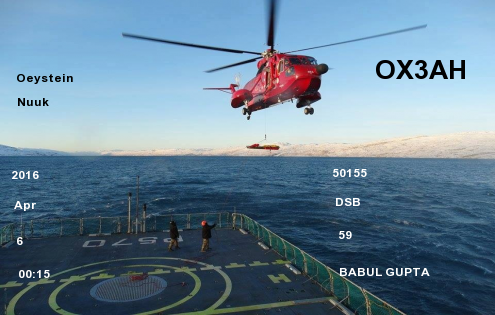 75HS102 - Helio from Azores Islands. 150HS173 - Anish from Bahrain. 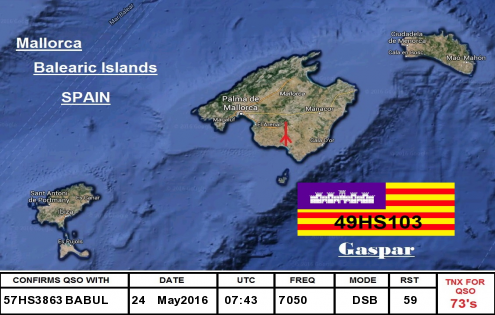 49HS103 - Gasper from Mallorca, Baleric Islands. 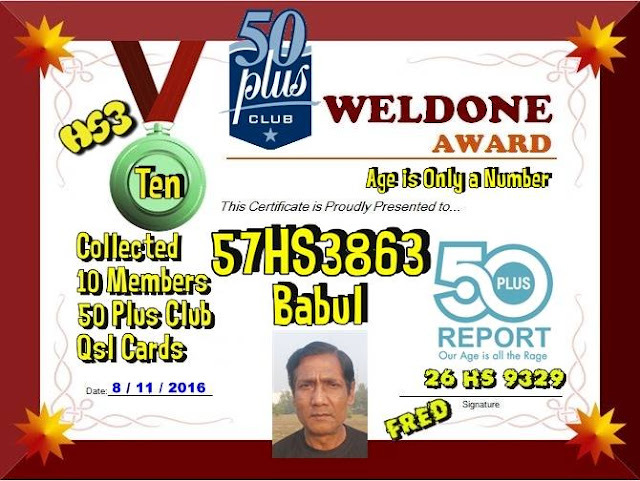 236HS627 - Methun from Dhaka, Bangladesh. 8P6GF - Stephen R Walton from Liverpool Road, Brittons Hill, Barbados. 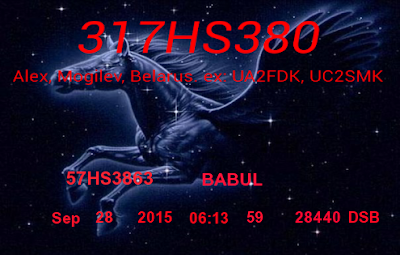 317HS380 - Alex from Mogilev, Belarus. 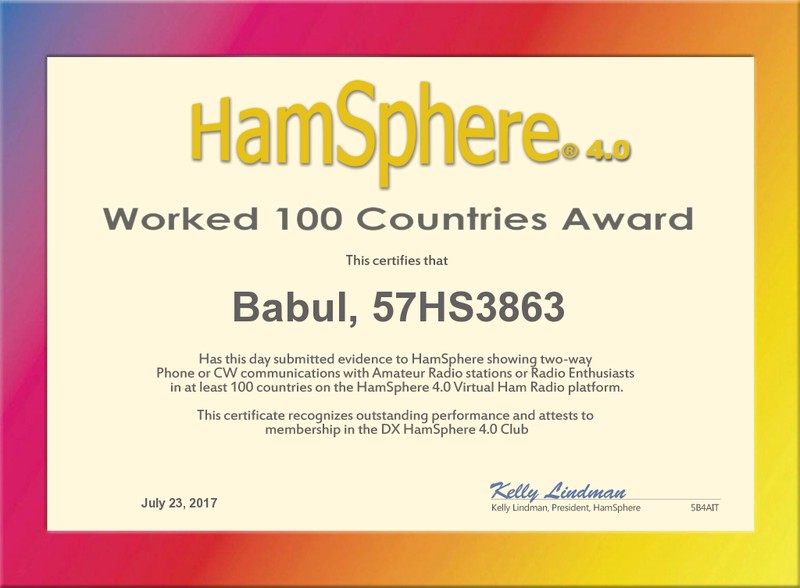 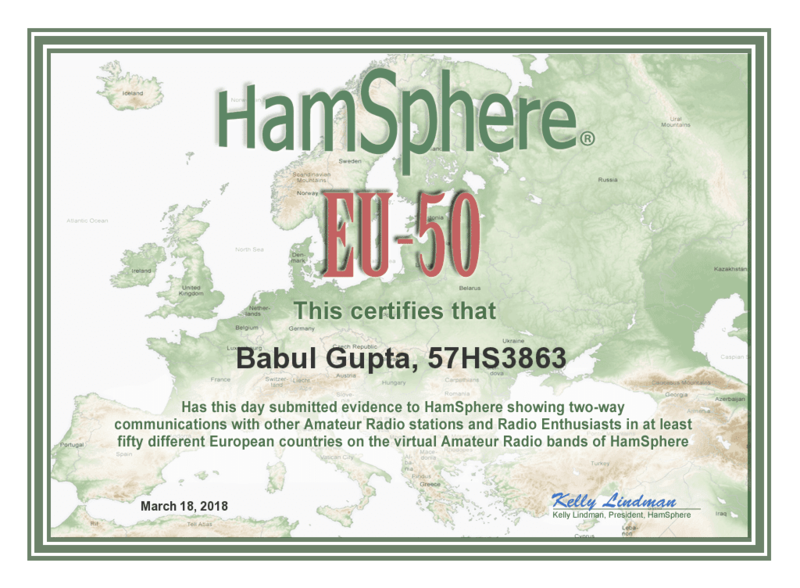 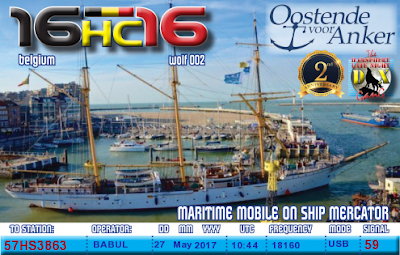 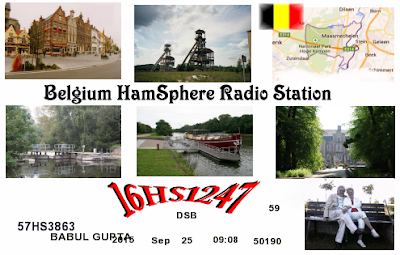 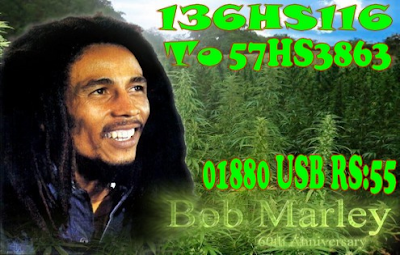 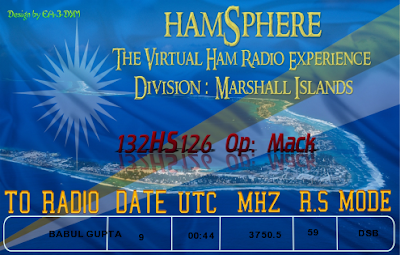 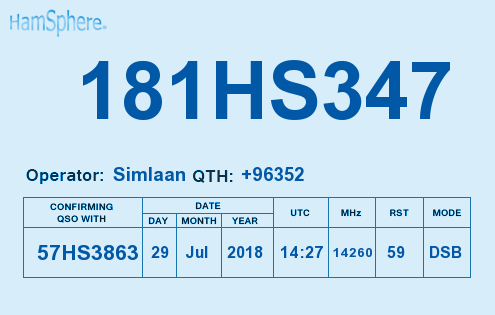 16HS1247 - Belgium HamSphare Radio Station from Belgium. 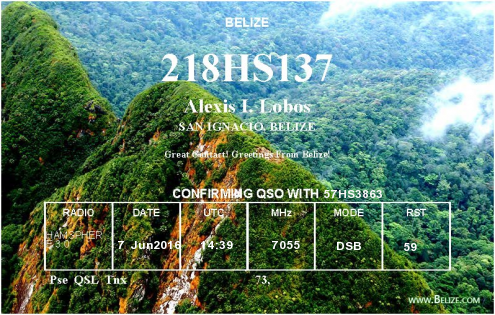 218HS137 - Alexis L. Lobos from San Ignacia, Belize. 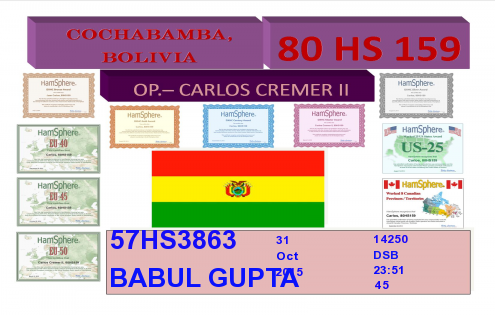 80HS159 - Carlos Cremer ll from Cochabamba, Bolivia. 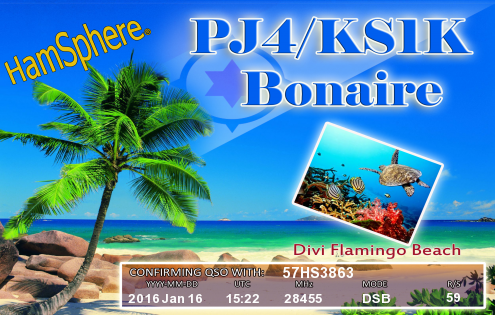 PJ4/KSIK - Divi Flamingo Beach from Bonaire. 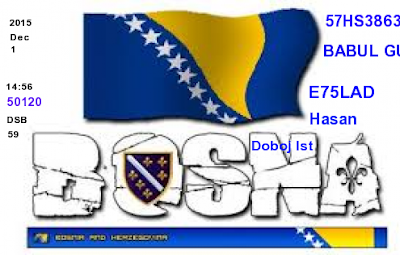 E75LAD - Hasan from Doboj 1st, Bosnia and Harzegowina. 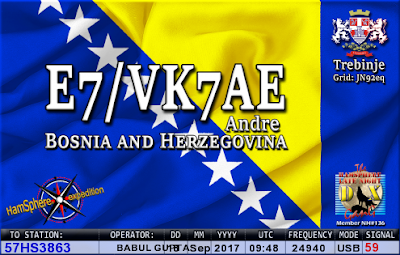 E7/VK7AE - Andre from, Bosnia and Harzegowina. 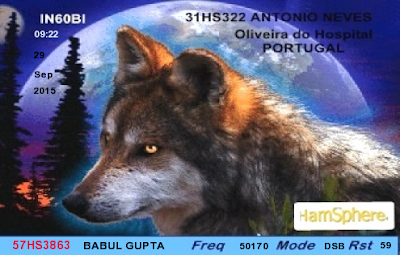 PU3JAI - Jairo from Alvoreda, Brazil. 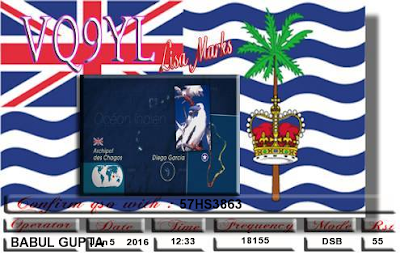 VQ9YL - Lisa Marks from Diego Garcia, British Indian Ocean Territory. 225HS203 - Edgar from Kianggeh, Brunei, Borneo. LZ3MM - Blagoevgrad from Evlogy, Bulgaria. 202HS101 - Sandipan from Thimpu, Bhutan. 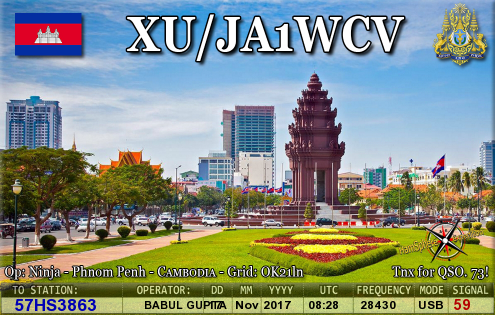 XU/JA1WCV - Ninja from Phnom Penh, Cambodia. 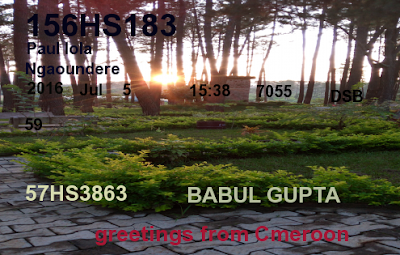 156HS183 - Paul Lola from Ngaoundere, Cameroon. 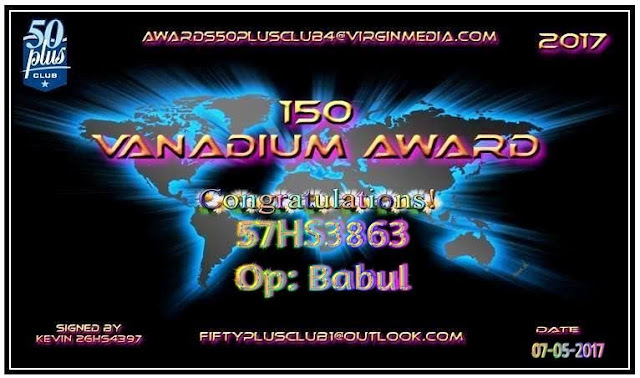 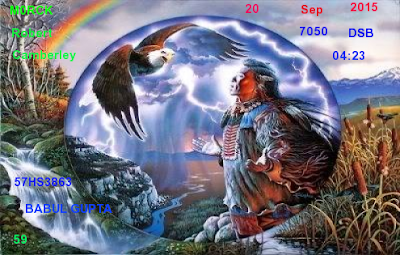 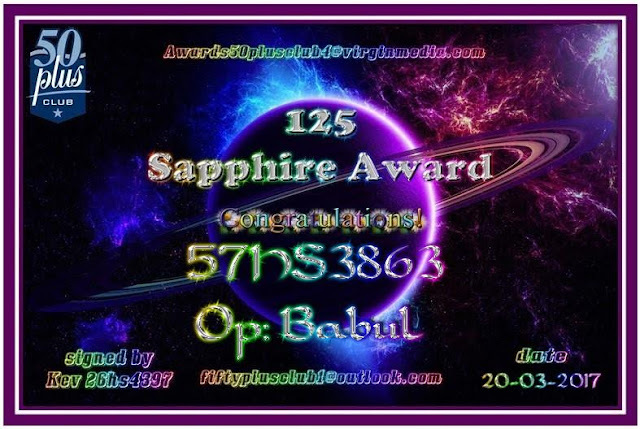 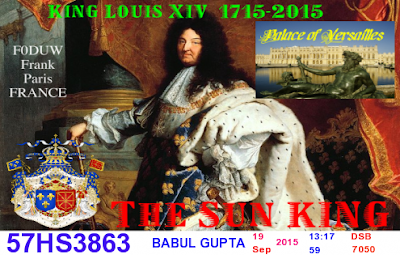 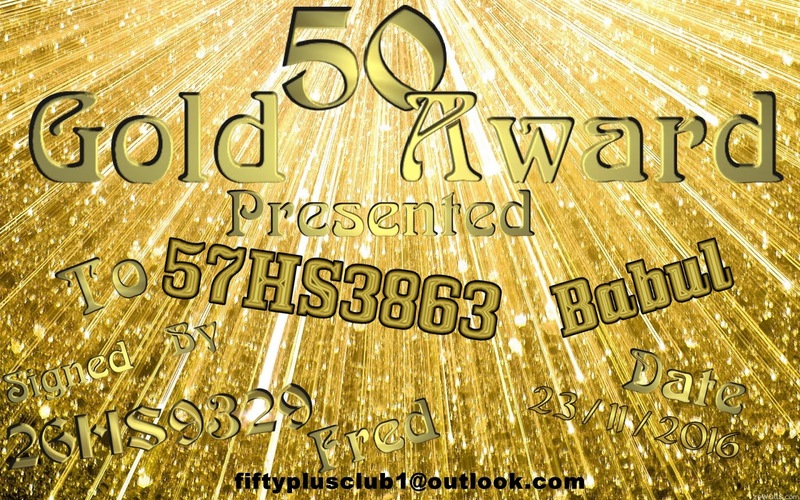 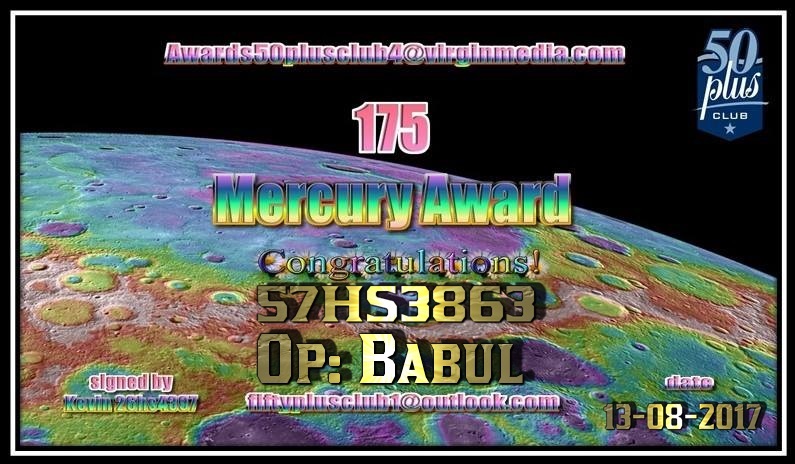 9HS1658 - Robert (Admin) from Gatineau, Quebec, Canada. 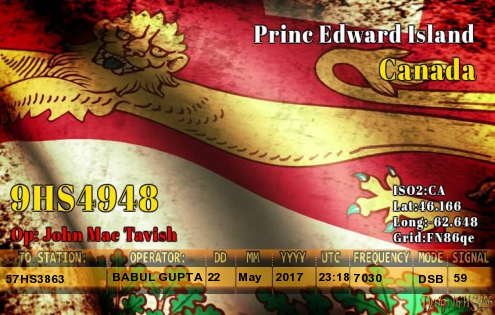 9HS4948 - John Mac Tavish from Prince Edward Island, Canada. 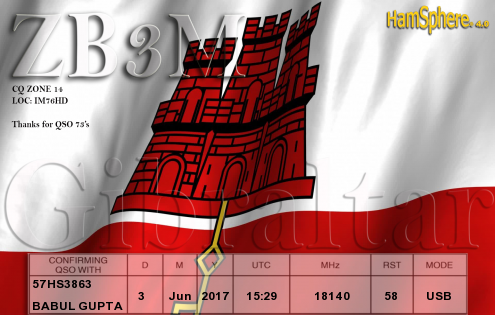 34HS34 - Thile from Fuerteventura, Canary Islands. 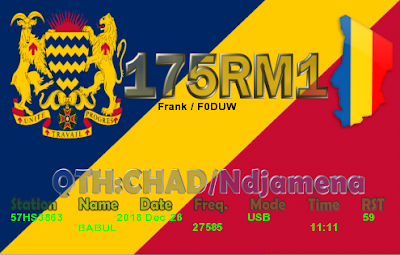 175RM1 - Frank from Ndjamena, Chad. 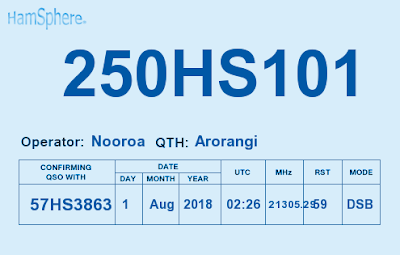 ZL7/ZL3MA - Graham from Waltangi, Chatham Islands. 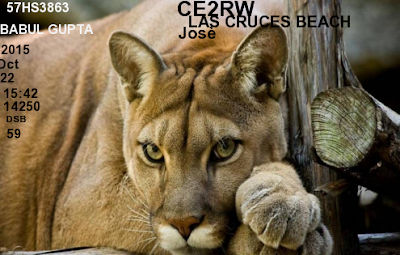 CE2RW - Jose from Las Cruces Beach, Chile. 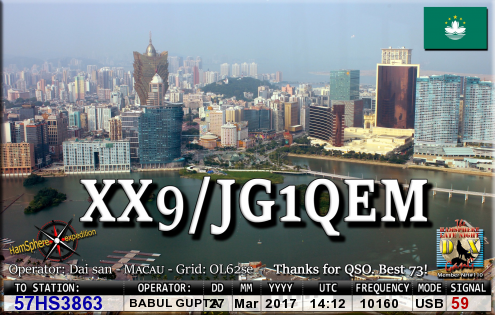 BG6SZD - Lyu JingHua from Enshi Hubei, China. 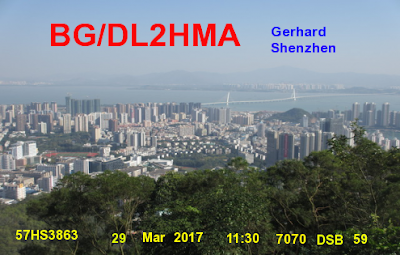 BG/DL2HMA - Gerhard from Shenzhen, China. 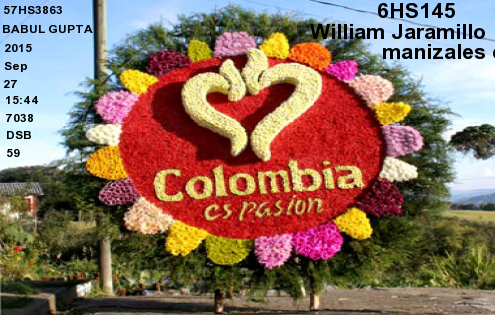 6HS145 - William Jaramillo from Manizales, Colombia. 162HS133 - Fernando from Kinshasa, Democratic Republic of Congo. 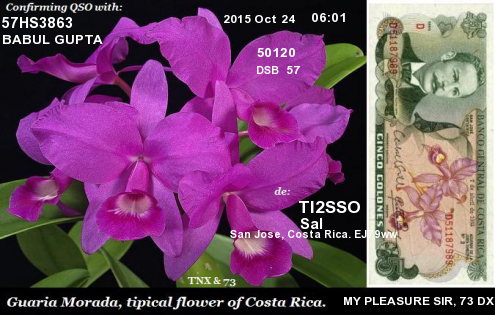 TI2SSO - Sal from San Jose, Costa Rica. 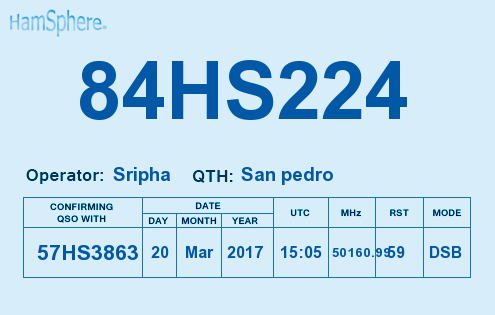 84HS224 - Sripha from San pedro, Cote Ivoire. 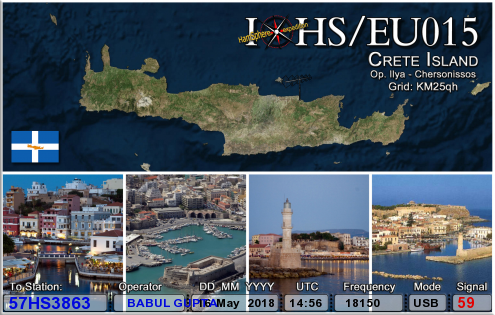 IOHS/EU015 - Ilya from Chersonissos, Crete Island. 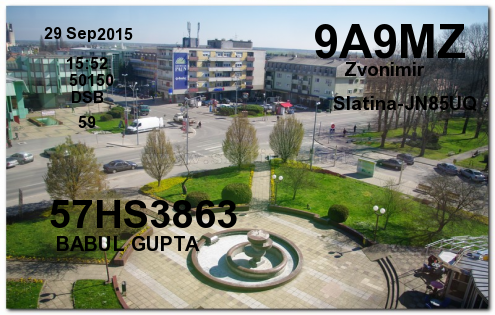 9A9MZ - Zvonimir from Statina, Croatia. 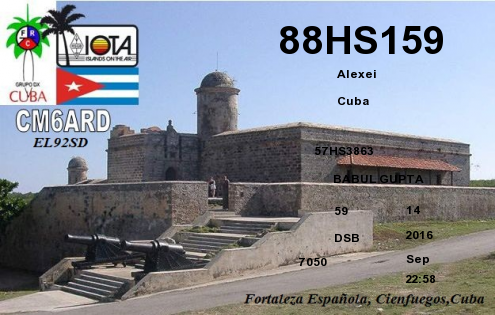 88HS159 - Alexei from Cuba. 347HS141 - Michael from Curacao. 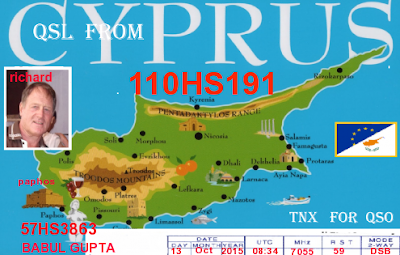 110HS191 - Richard from Paphos, Cyprus. 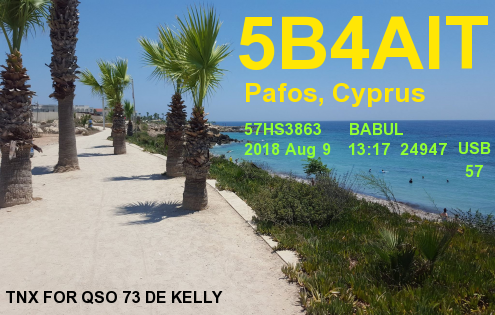 5B4AIT - Kelly from Pafos, Cyprus. 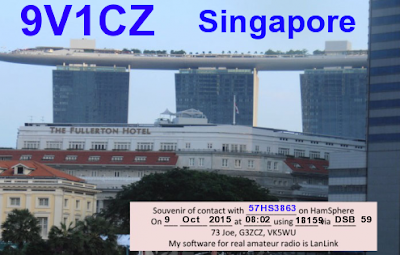 179HS322 - Josef from Zdice, Czech Republic. 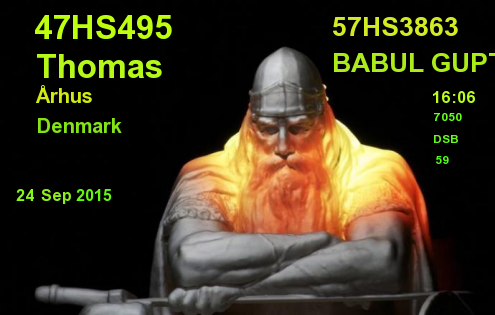 47HS495 - Thomas from Arhus, Denmark. 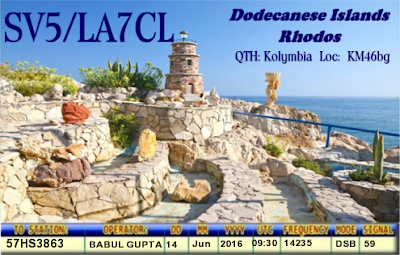 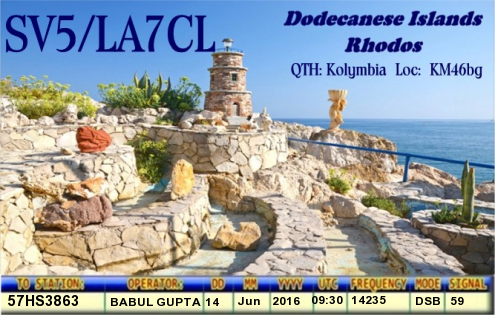 SV5/LA7CL - Paul from Kolymbia, Dodecanese Islands. 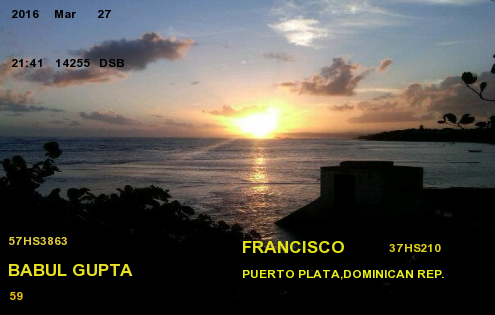 35HS210 - Francisco from Puerto Plata, Dominican Republic. 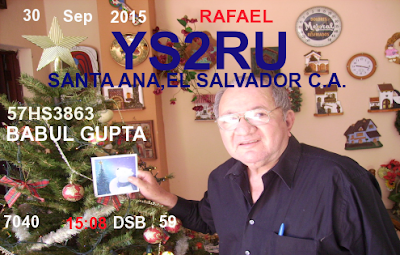 YS2RU - Rafael from Santa Ana, El Salvador. 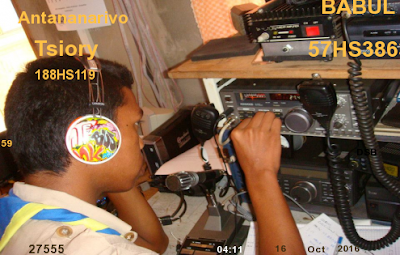 Marcel from Bata, Equatorial Guinea. 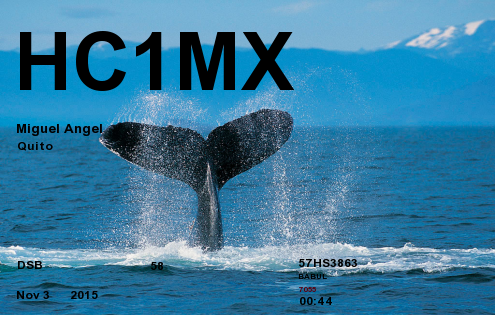 HC1MX - Miguel Angel from Quito, Equodopr. 304HS199 - Rory from Tallin, Estonia. 99HS119 - Apenisa from Lautoka, Fiji. OH2FRU - Reijo from Vantaa, Finland. F0DUW - Frank from Paris, France. 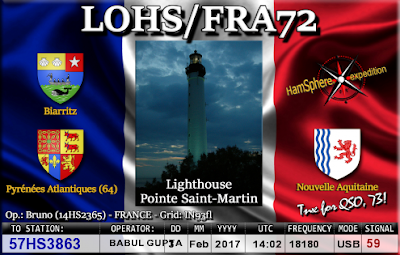 LOHS/FRA72 - Bruno from Lighthouse Pointe Saint-Martin, France. 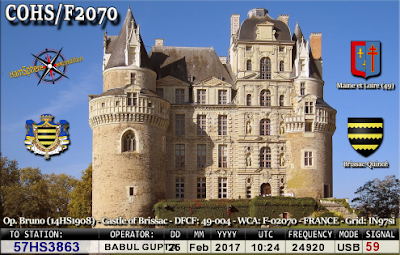 COHS/F2070 Bruno from Castle of Brissac, France. 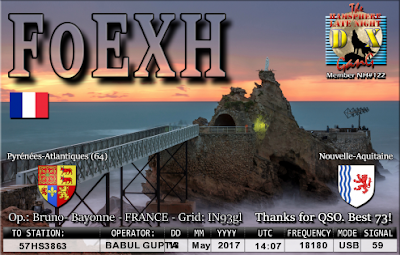 F0EXH - Bruno from Bayonne, France. 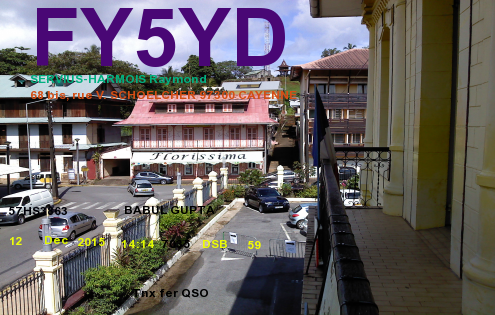 FY5YD - Raymond from 68 bis, rue V. Schoelcher 97300, Cayenne, French Guinea. 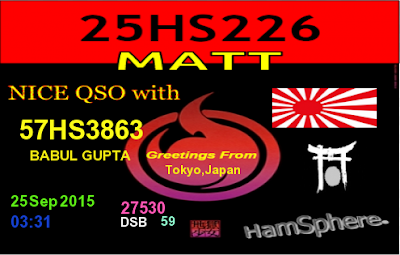 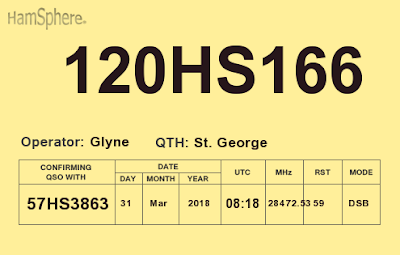 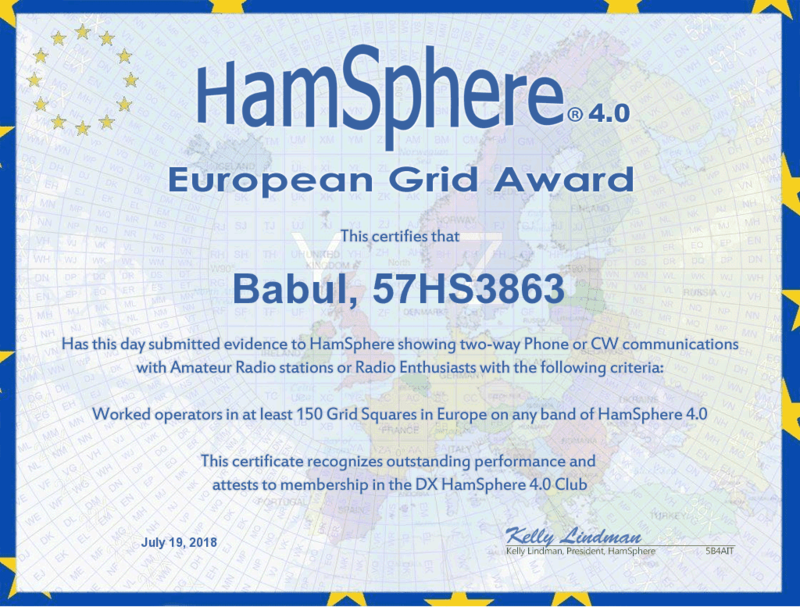 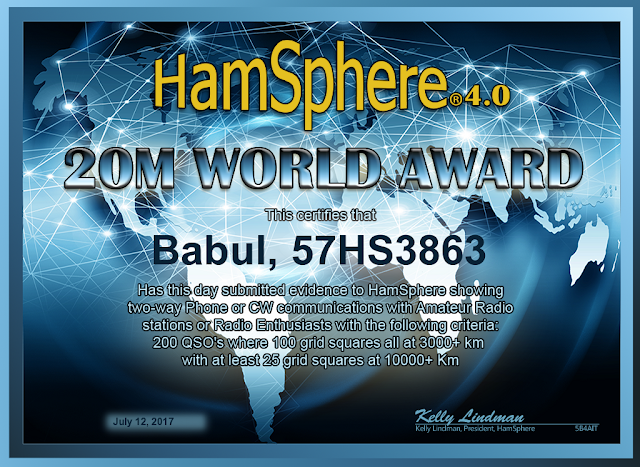 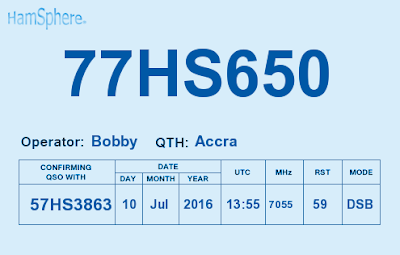 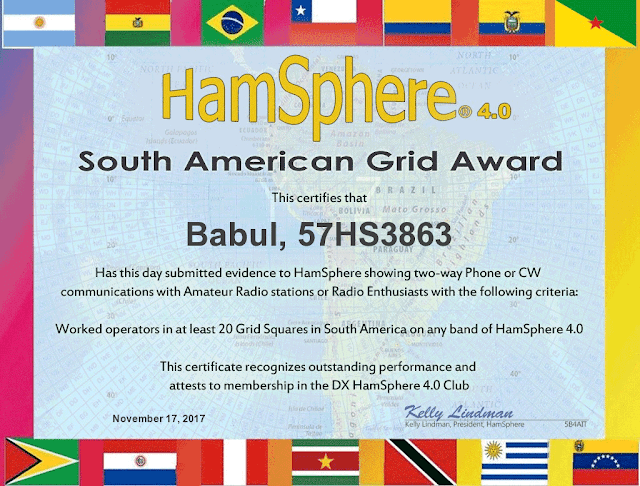 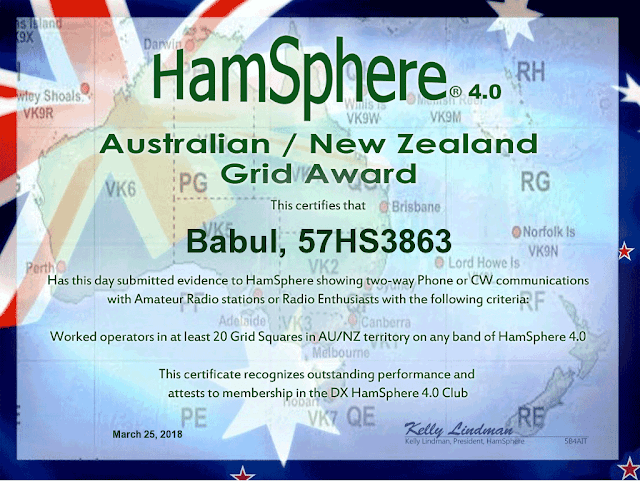 FY5HB - Said from French Guinea. 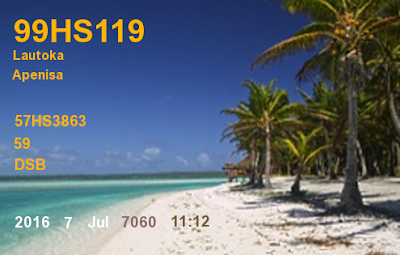 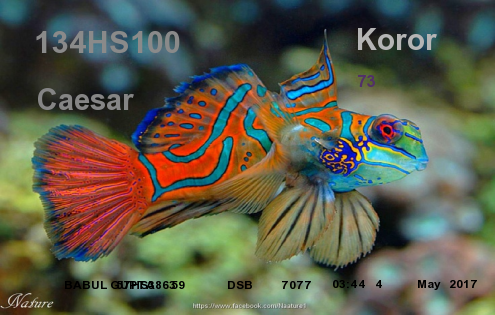 201HS109 - Tiare Anei from Bora-Bora, French Polynesia. 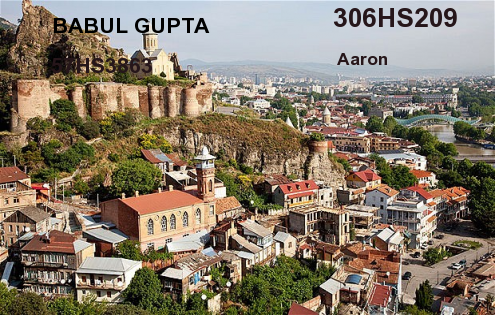 306HS209 - Aaron from Tubilisi, Georgia. 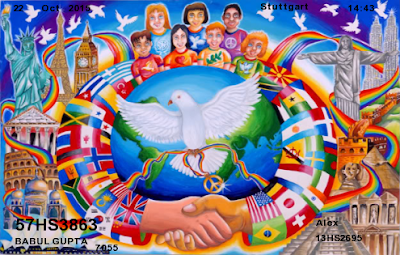 13HS2605 - Alex from Stuttgart, Germany. 77HS650 - Bobby from Accra, Ghana. ZB3M - Michael from Gibraltar. 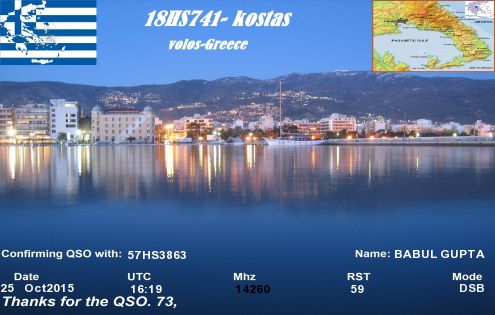 18HS741 - Koster from Volos, Greece. 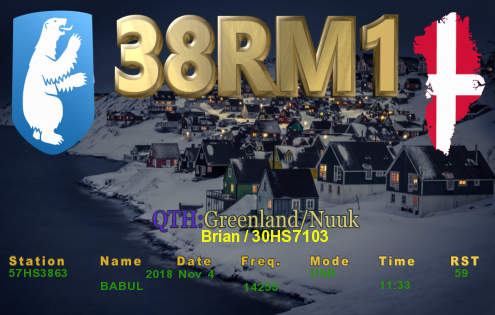 38RM1 - Brian from Nuuk, Greenland. 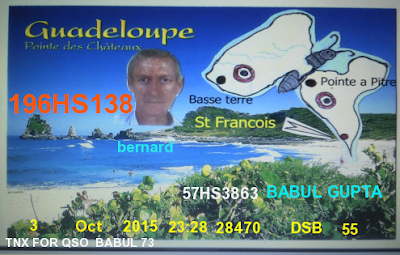 196HS138 - Bernard from Pointedes Chateaux, Guadeloupe. 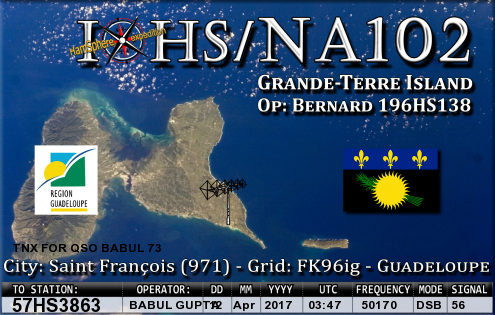 IOHS/NA102 - Bernard from Grande-Terre Island, Guadeloupe. 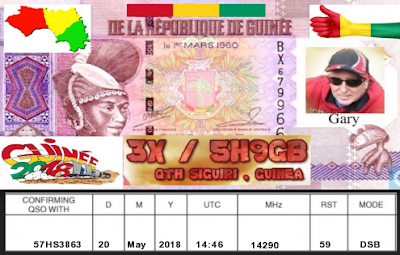 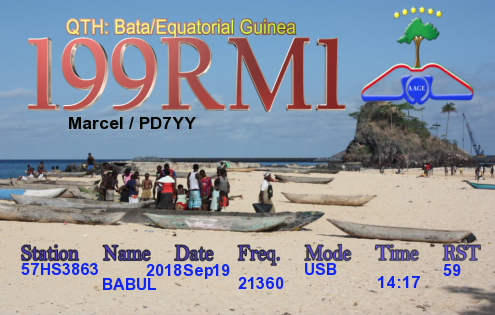 3X/5H9GB - Gary from Siguiri, Guinea. 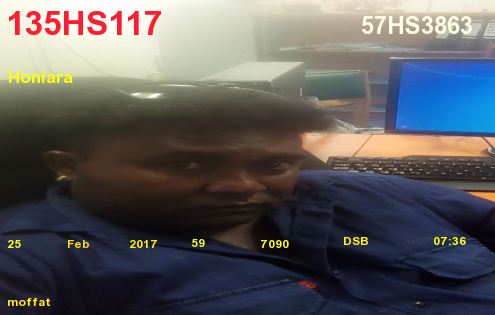 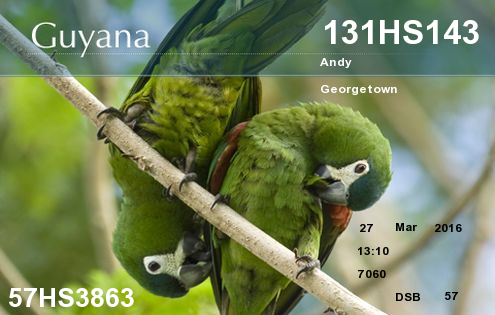 131HS143 - Andy from Georgetown, Guyana. 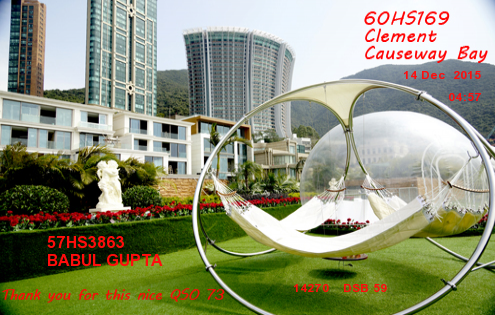 60HS169 - Clement from Causeway Bay, Hong Kong. 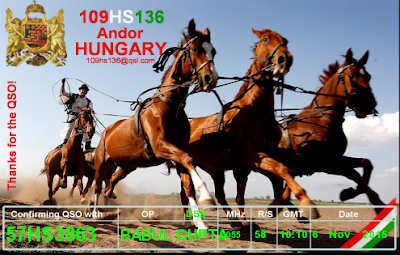 109HS136 - Andor from Budapest, Hungary. 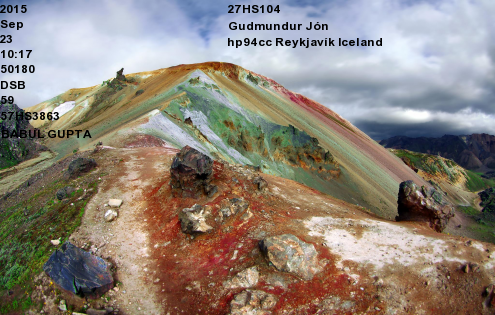 27HS104 - Gudmundur Jon from Reykjavik, Iceland. 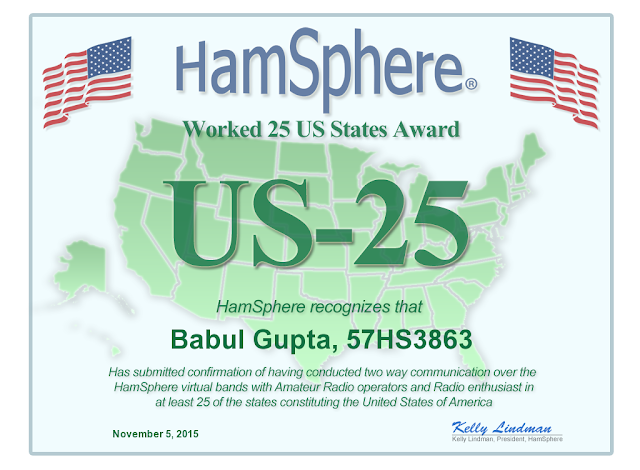 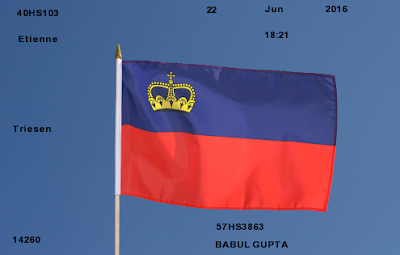 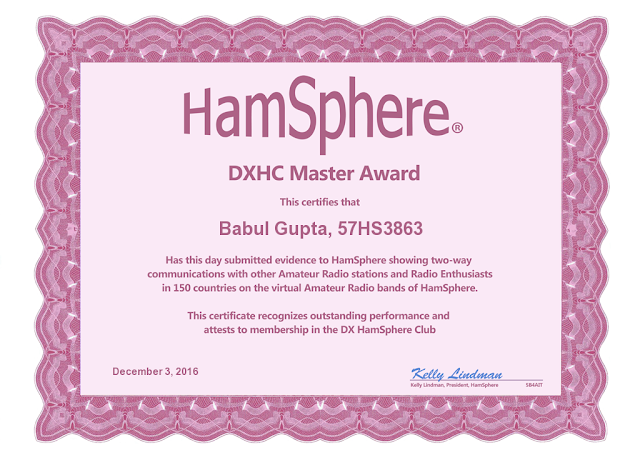 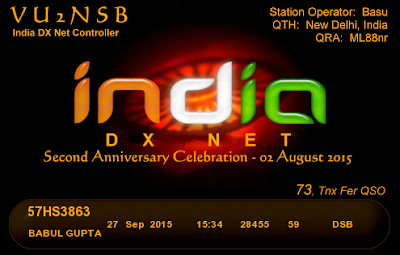 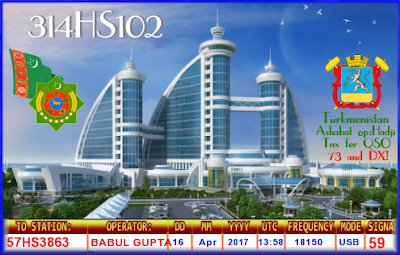 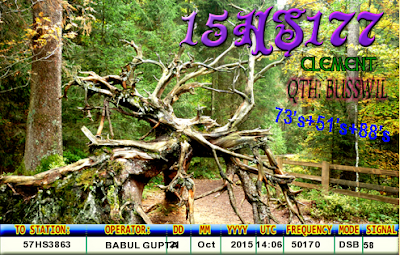 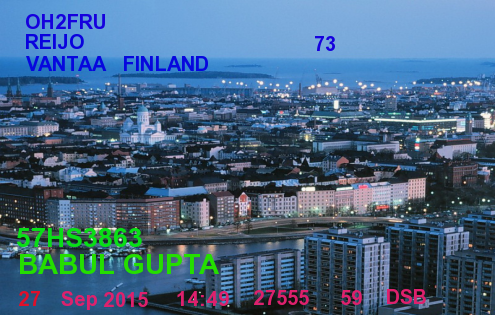 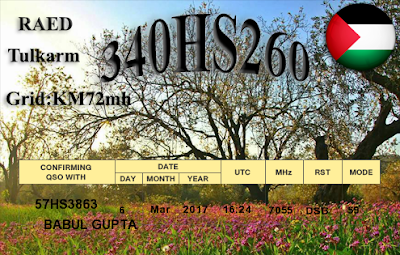 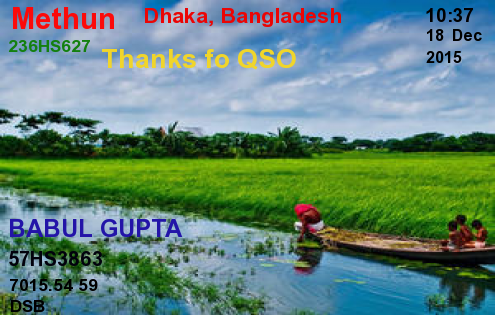 VU2NSB - Basu (India DX Net) from New Delhi, India. 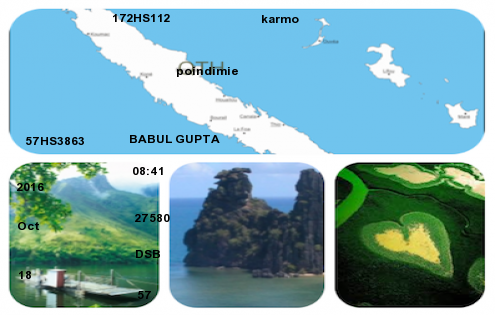 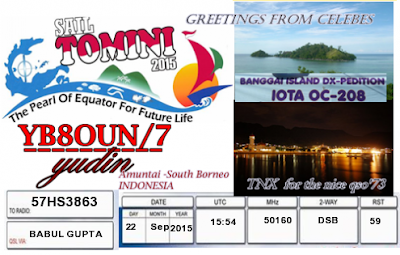 YB8OUN/7 - Yudin from Amuntal, South Borneo, Indonesia. 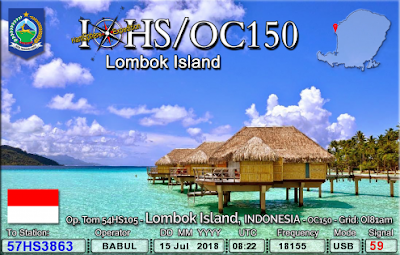 IOHS/OC150 Tom from Lombok Island, Indonesia. 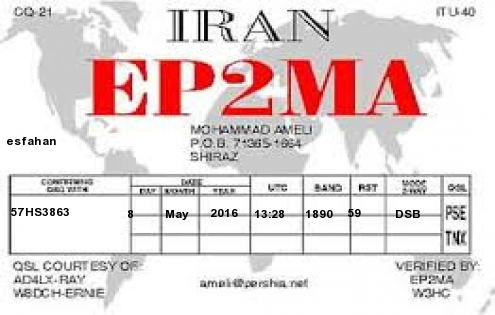 EP2MA - Mohammad Ameu from Shiraj, Iran. 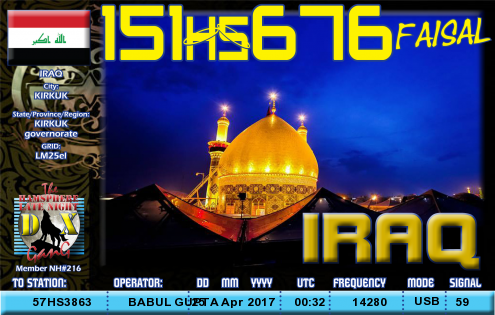 151HS676 - Faisal from Kirkuk, Iraq. 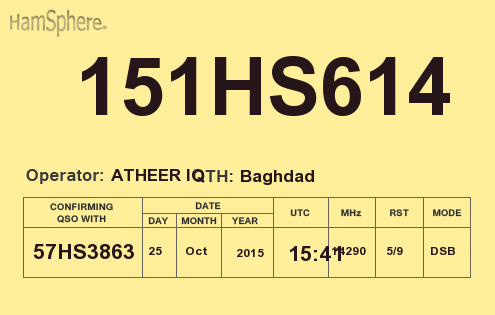 151HS614 - Atheer from Baghdad, Iraq. 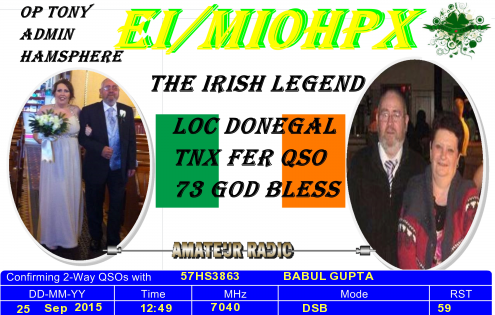 EI/MI0HPX - Tony from Donegal, Ireland. 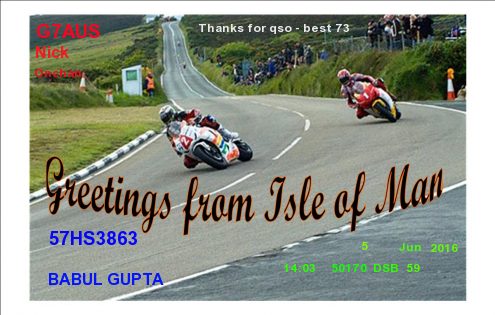 G7AUS - Nick from Onchan, Isle of Man. 4X6QT - Dany from Haifa, Isreal. 1HS3744 - Gluseppe from Palermo, Mondello, Sicilia, Italy. 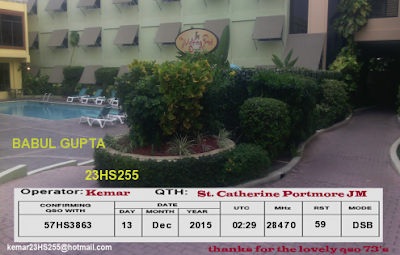 23HS255 - Kemer from St. Catherine Portmore, Jamaica. 111HS115 - Mohammad from Zark, Jordan. 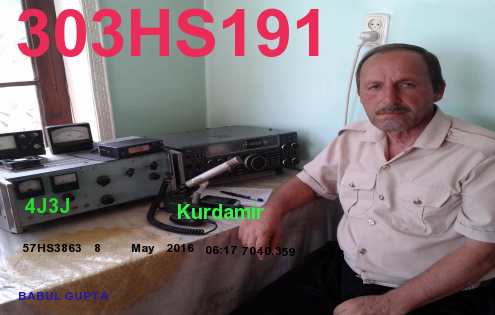 111HS115 - Mohammad Zawahra from Zarqa, Jorden. 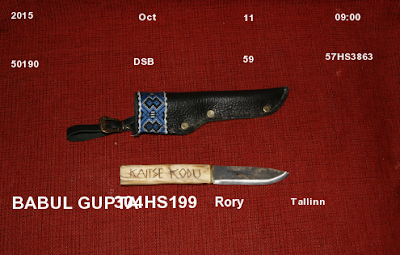 307HS100 - Kondy from Kaliningra, Kaliningrad. 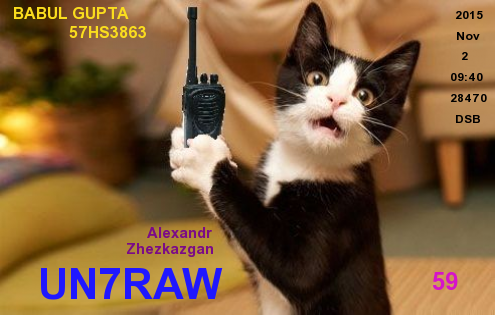 UN7RAW - Alexandr from Zhezkazgan, Kazakhastan. 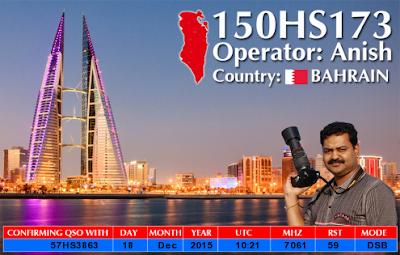 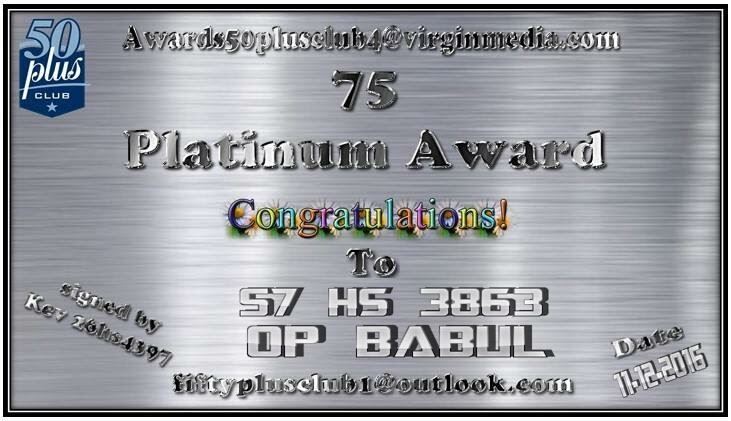 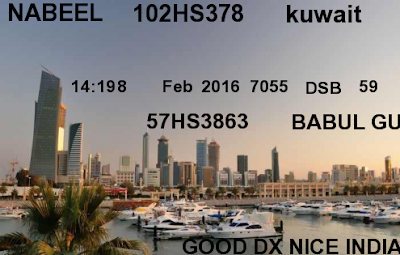 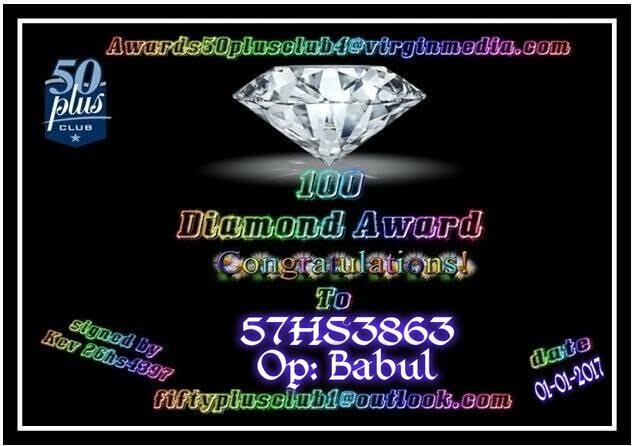 102HS378 - Nabeel from Kuwait. 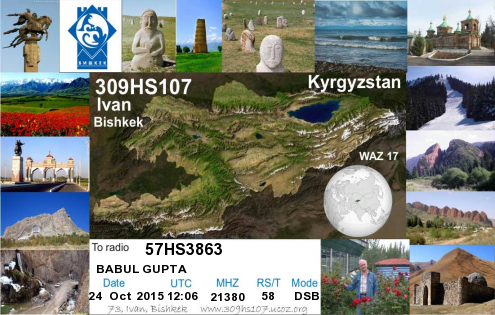 309HS107 - Ivan from Bishkek, Kyrgyzstan. 310HS209 - Raivo from Riga, Latvia. 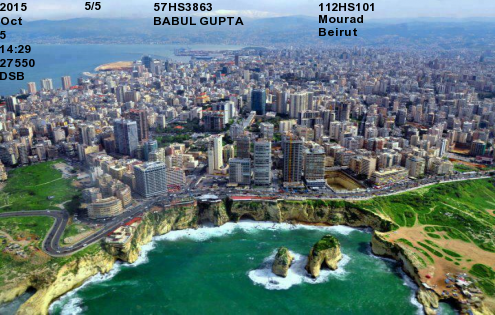 112HS101 - Moured from Beirut, Lebanon. 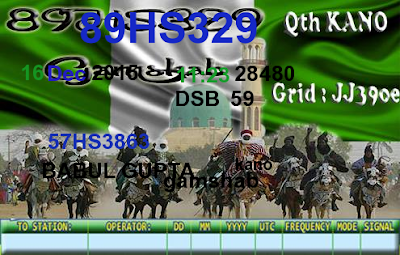 92HS5278 - Muftah from Tripoli, Libya. 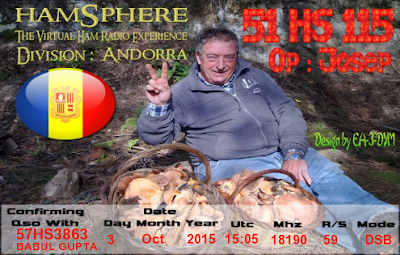 40HS103 - Etienne from Triesen, Liechtenstein. 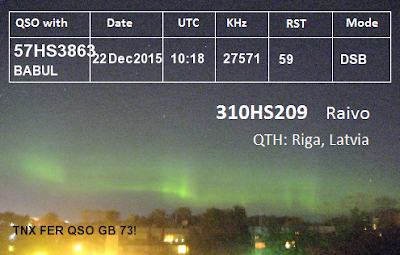 311HS107 - Darus from Rokiskis, Lithuania. 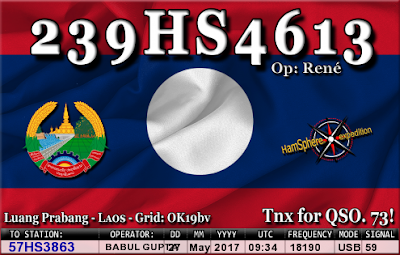 239HS4613 - Rene from Luang Prabang, Loas. LX1NJ - Norbert from Stenfort, Luxembourg. XX9/JG1QEM - Dai San from Macau. 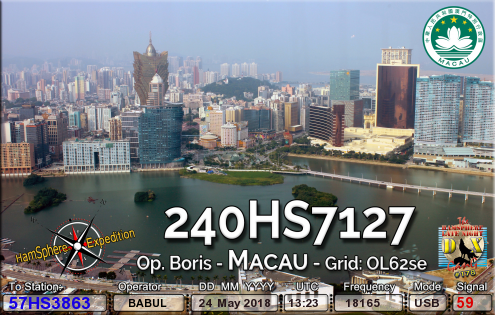 240HS7127 - Boris from Macau. 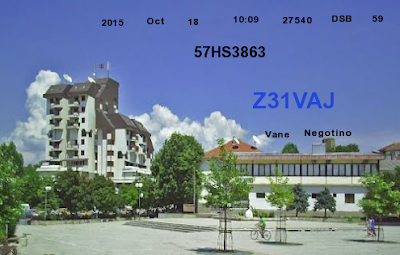 Z31VAJ - Vane from Negotino, Macedonia. Z3/PD7YY - Marcel from Velestovo, Ohrid, Macedonia. 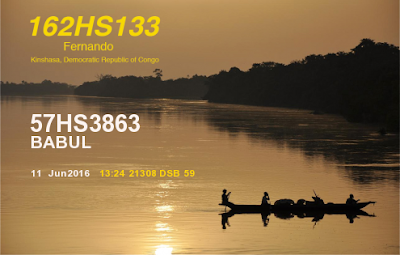 188HS119 - Tsiory from Antananarivo, Madagascar. 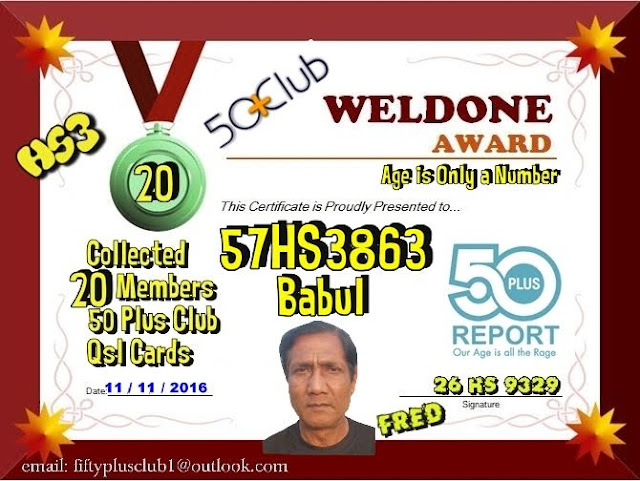 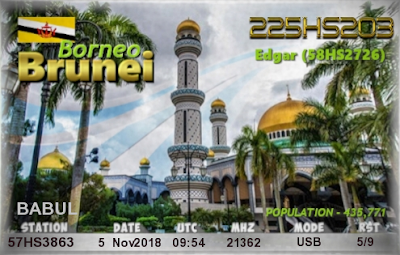 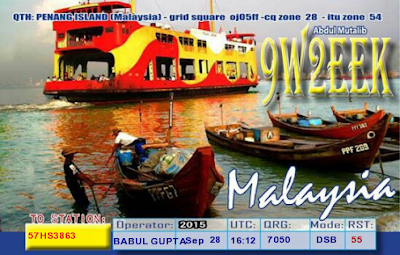 9W2EEK - Abdul Mutalb from Penang Island, Malaysia. 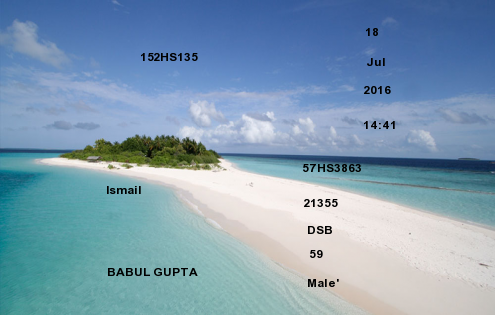 152HS135 - Ismail from Male, Maldives. 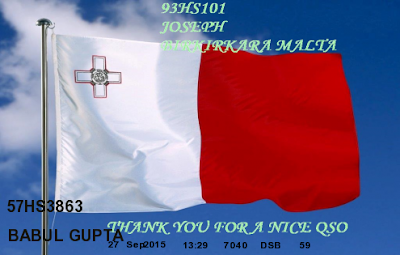 93HS101 - Joseph from Birkirkara, Malta. 132HS126 - Mack from Marshall Islands. 136HS116 - Oliver from Les Trois Llets, Martinique. 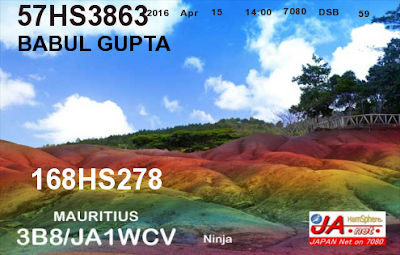 168HS278 - Ninja from Mauritius. 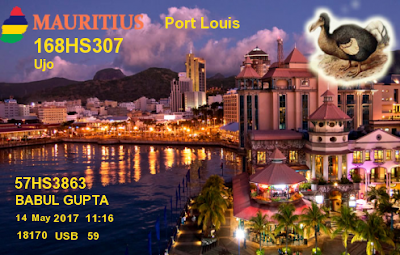 168HS307 - Ujo from Port Louis, Mauritius. 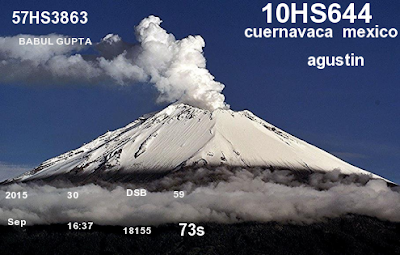 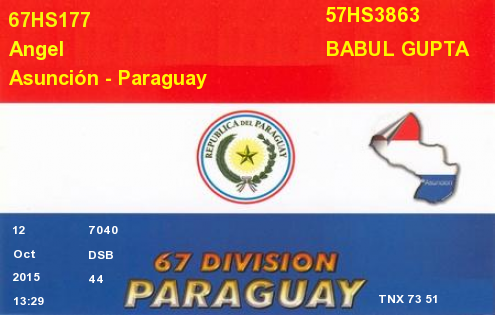 10HS644 - Agustin from Cuernvaca, Mexico. 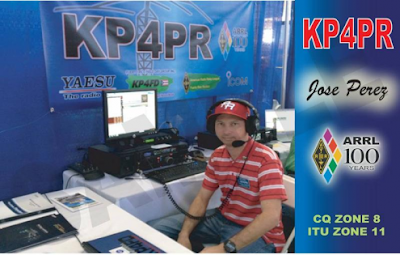 XE2AAL - Isidro Antonio from Nuevolaredo,Tamaulipas, Mexico. 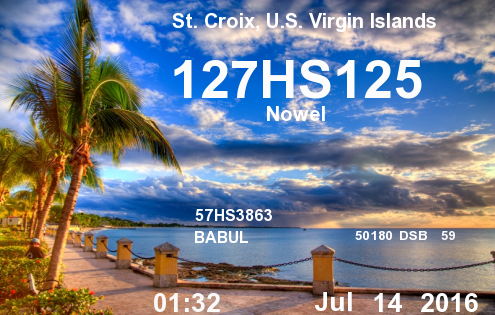 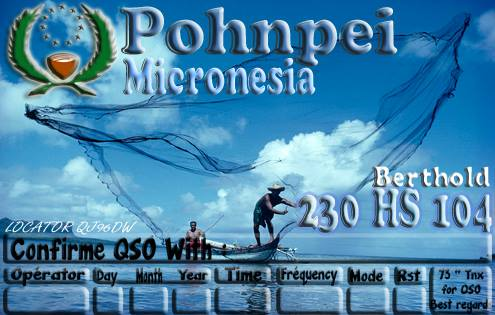 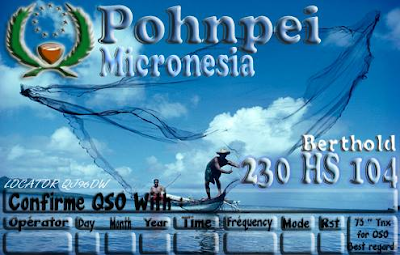 230HS104 - Berthold from Pohnpei, Micronesia. 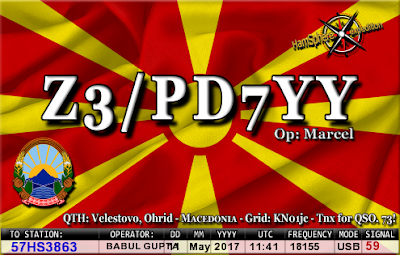 312HS147 - Valeri from Moldova. 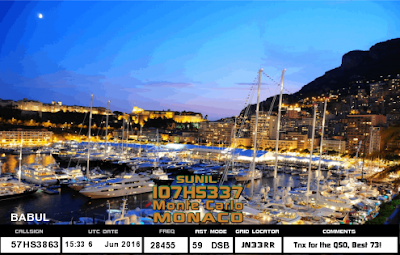 107HS337 - Sunil from Monte Carlo, Monaco. 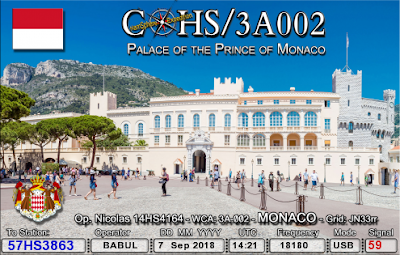 COHS/3A002 - Nicolas from Place of the Prience of Monaco. 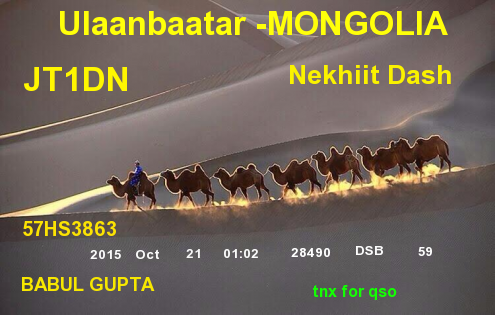 JT1DN - Nekhiit Dash from Ulaanbaatar, Mongolia. 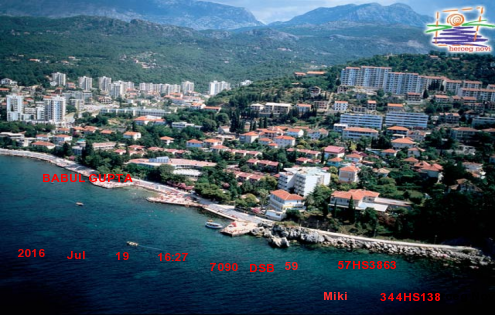 344HS138 - Miki from Herceg Novi, Montenegro. 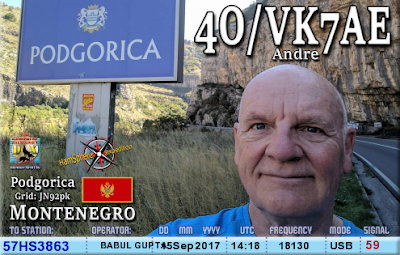 4O/VK7AE - Andre from Montenegro. 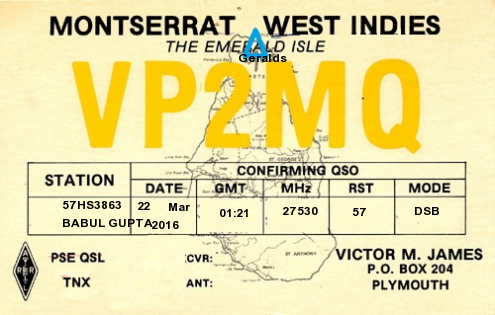 VP2MQ - Victor M. James from Plymouth, Montserrat. 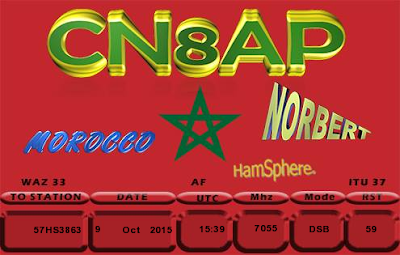 CN8AP - Norbert from Morocco. 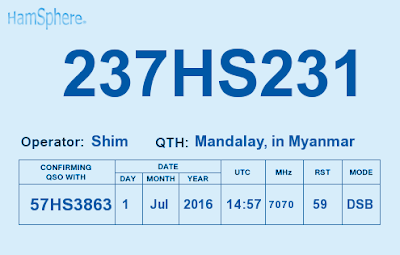 237HS400 - Edger from Yangon, Myanmar. 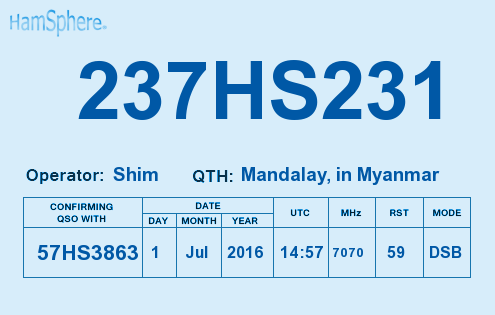 237HS231 - Shim from Mandalay, Myanmar. 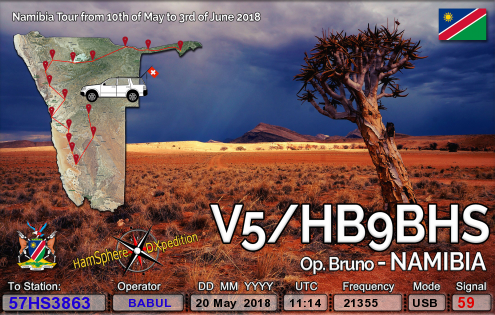 V5/HB9BHS - Bruno from Swakopmund, Namibia. 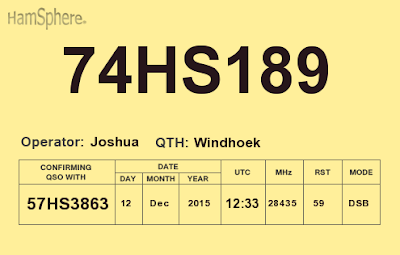 74HS189 - Joshua from Windhoek, Namibia. 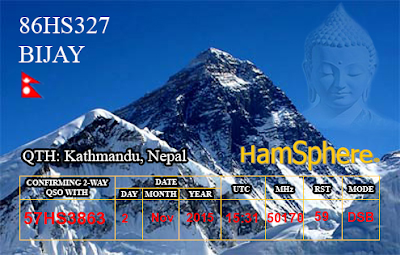 86HS327 - Bijay from Kathmandu, Nepal. 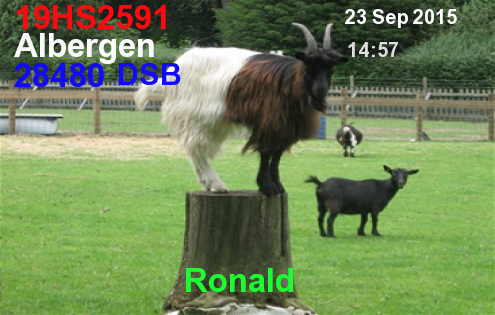 19HS2591 - Ronald from Albergen, Netherlands. 172HS112 - Karmo from Poundimie, New Calidonia. 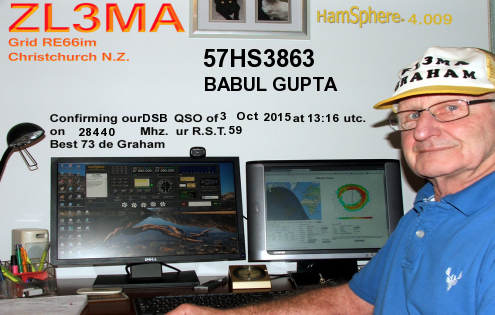 ZL3MA - Graham from Christchurch, New Zealand. 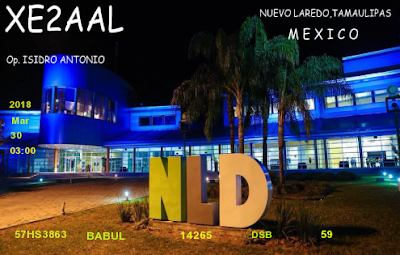 YN8HR - Adolfo from Nicaragua. 89HS329 - Gamshab from Kano, Nigeria. 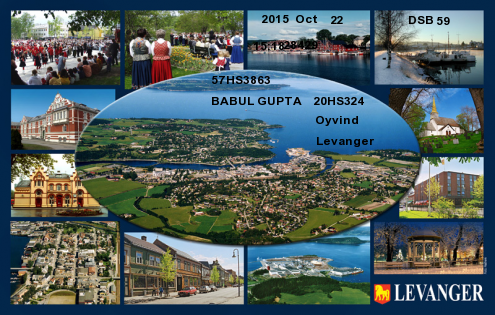 20HS324 - Oyvind from Levenger, Norway. 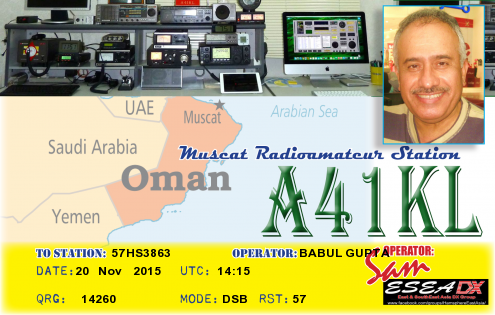 A41KL - Sam from Muscat, Oman. 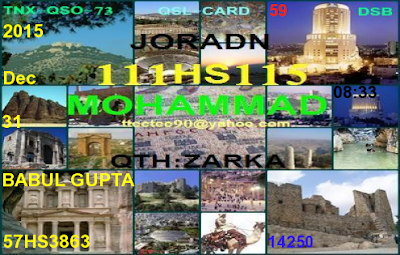 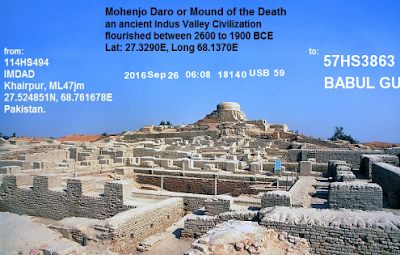 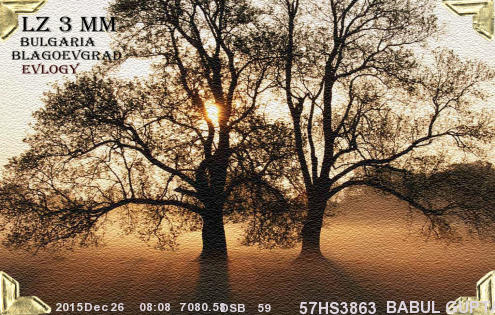 114HS494 - Imdad from Khairpur, Pakistan. 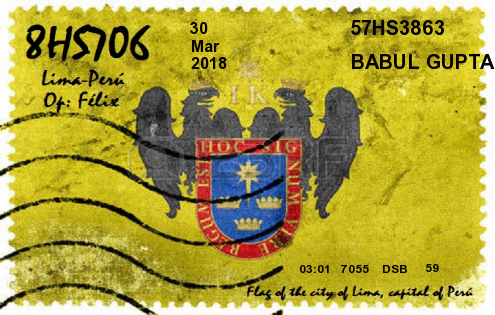 134HS100 - Caesar from Korer, Palau. 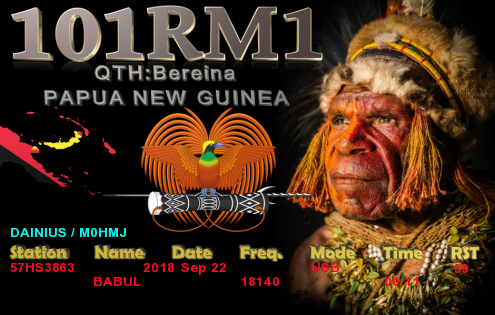 101RM1 - Danius from Bereina, Papua New Guinea. 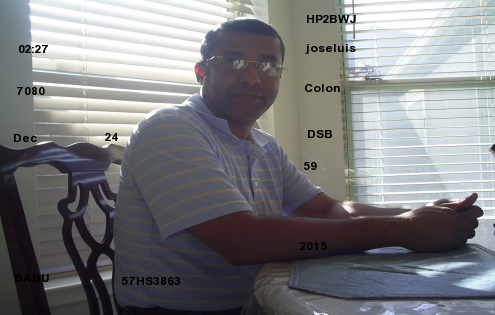 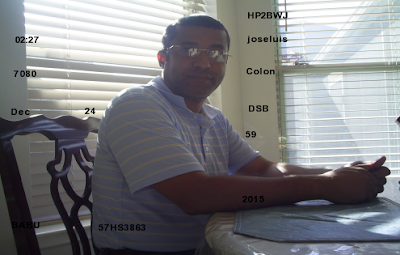 HP2BWJ - Joseluis from Colon, Panama. 340HS260 - Raed from Tulkarm, Palestinia. 67HS177 - Angel from Asuncion, Paraguay. 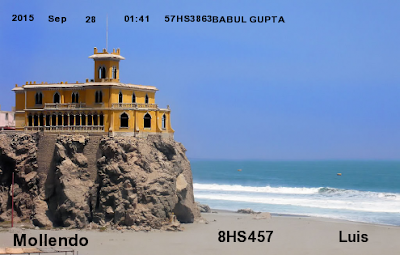 8HS457 - Luis from Mollendo, Peru. 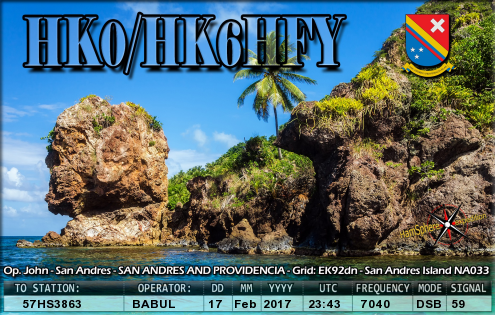 8HS706 - Filix from Lima, Peru. 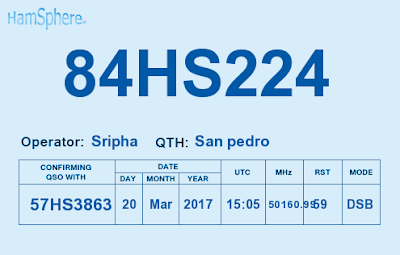 79HS2557 - Melchor from Alta Verde, Subs, Tuba Benguet, Philippines. 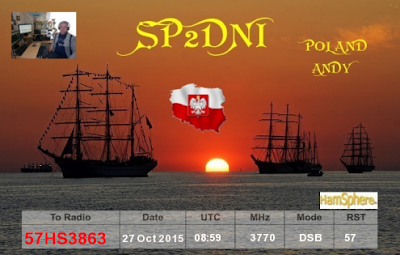 SP2DNI - Andy from Pszczolki, Poland. 31HS322 - Antonio from Oliveira do Hospisd, Poland. KP4PR - Jose Peraz from Puerto Rico. 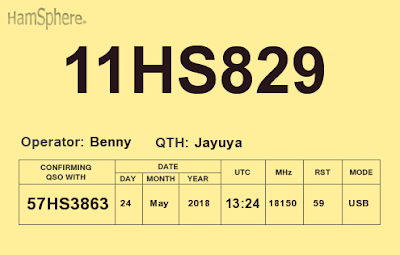 11HS829 - Benny from Jayuya, Puerto Rico. 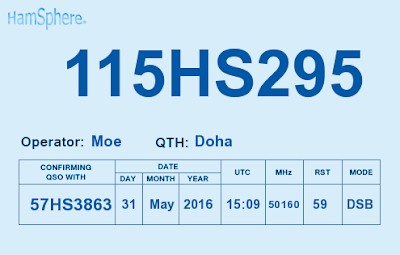 115HS295 - Moe from Doha, Qatar. 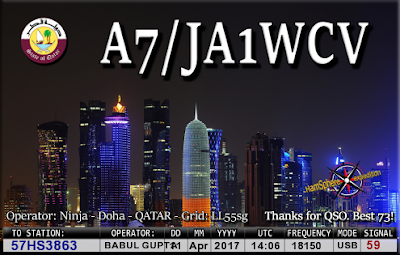 A7/JA1WCV - Ninja from Doha, Qatar. 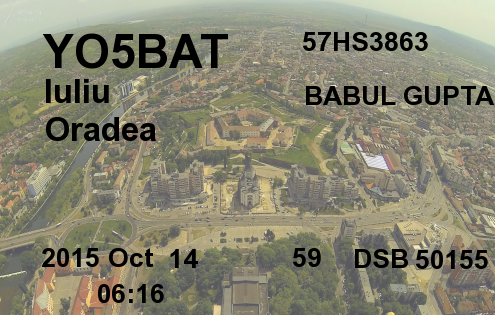 YO5BAT - Luliu from Oradea, Romania. 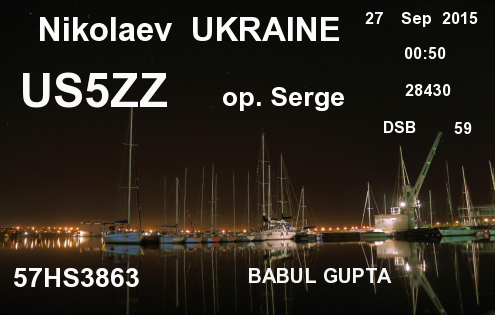 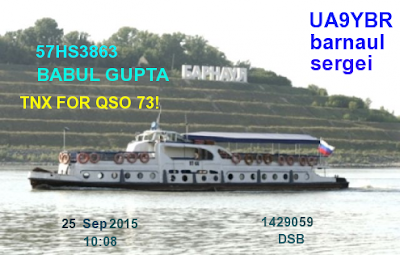 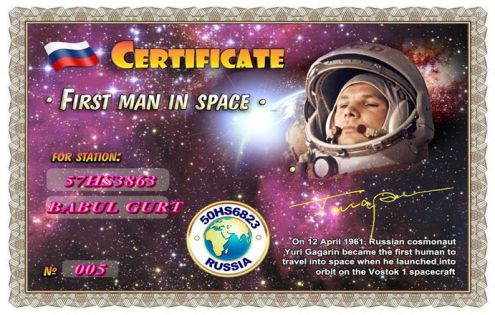 UA9YBR - Sergei from Barnaul, Russian Federation. 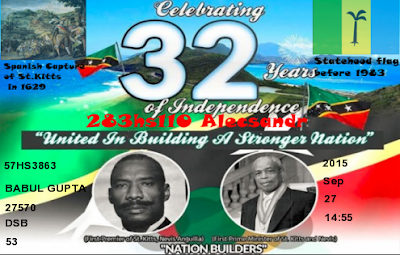 283HS110 - Alecsandr from Saint Kitts and Nevis. 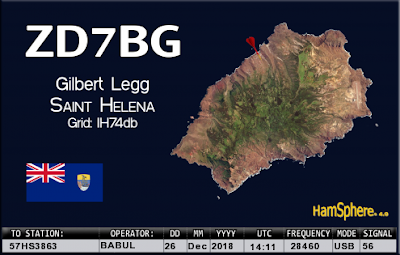 ZD7BG - Gilbert Legg from Saint Helena Island. 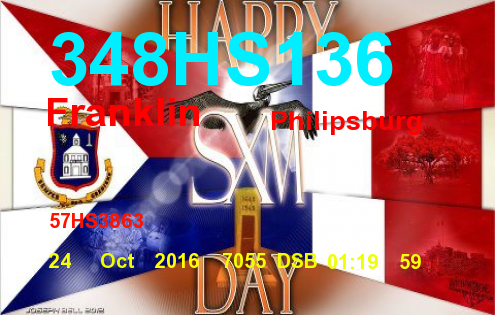 348HS136 - Franklin from Philipsburg, Saint Maarten. KH0/HK6HFY - John from San Andres, San Andres and Providencia. 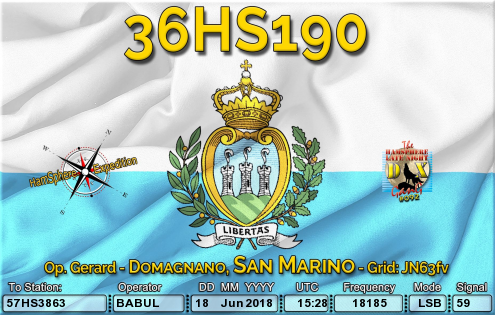 36HS190 -Gerard from Domagnano, San Marino. 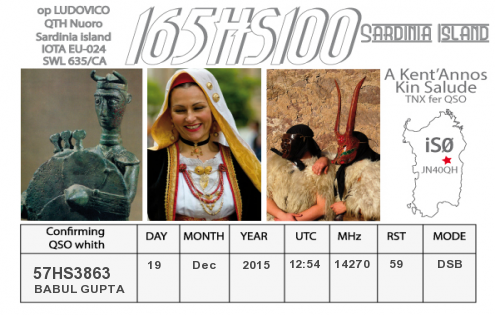 165HS100 - Ludovico from Nuoro, Sardinia Island. 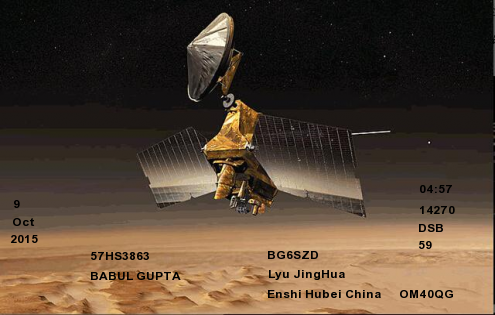 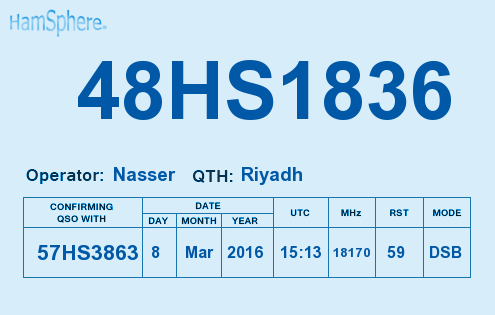 48HS1836 - Nasser from Riyadh, Saudi Arabia. 45HS209 - Sloba from Odzaci, Vojvodina, Serbia. 9V1CZ - Joseph from Singapore. 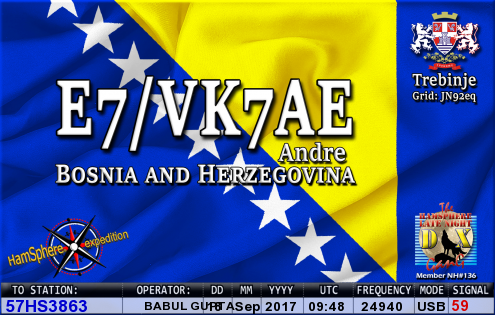 OM4RJ - Rasto from Vojvodina, Slovakia. 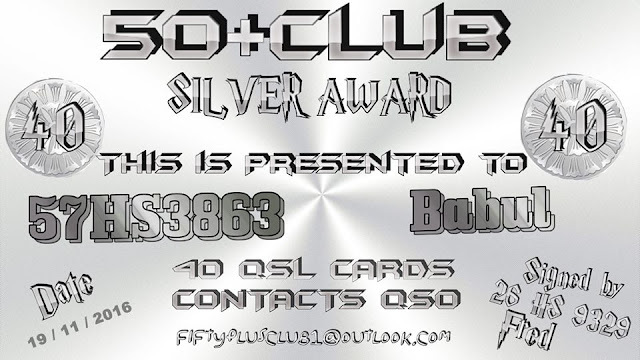 S51LD - Dusan from City Celje, Slovenia. 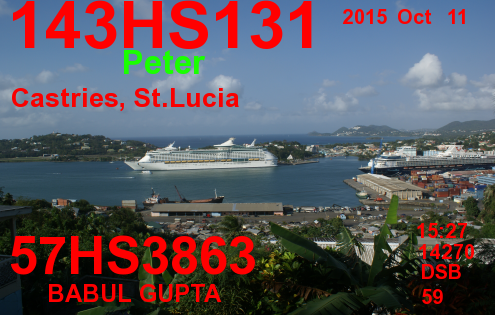 135HS117 - Moffat from Honiara, Solomon Islands. 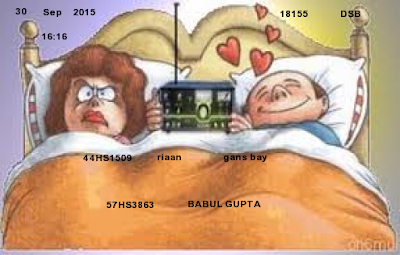 44HS1509 - Riaan from Gansbey, South Africa. 250HS101 - Nooroa from Arorangi, South Cook Islands. 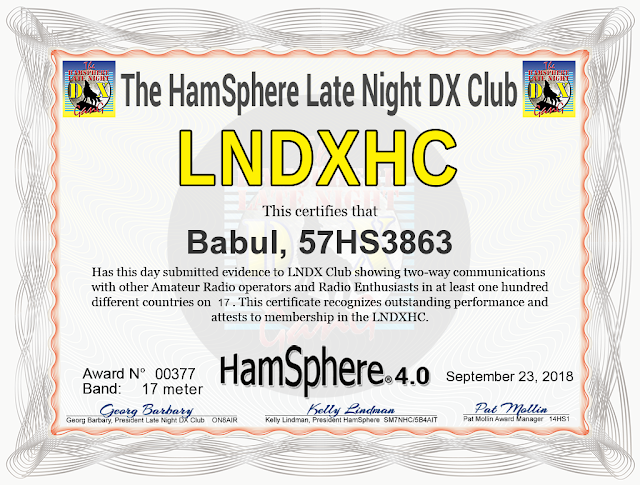 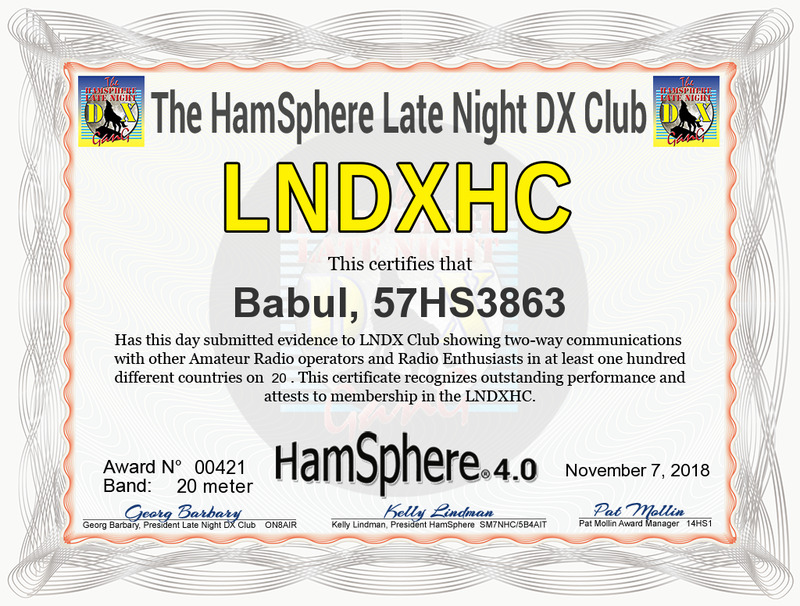 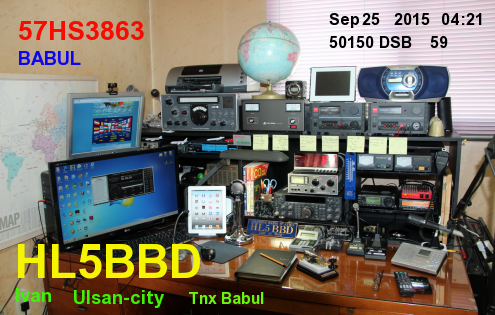 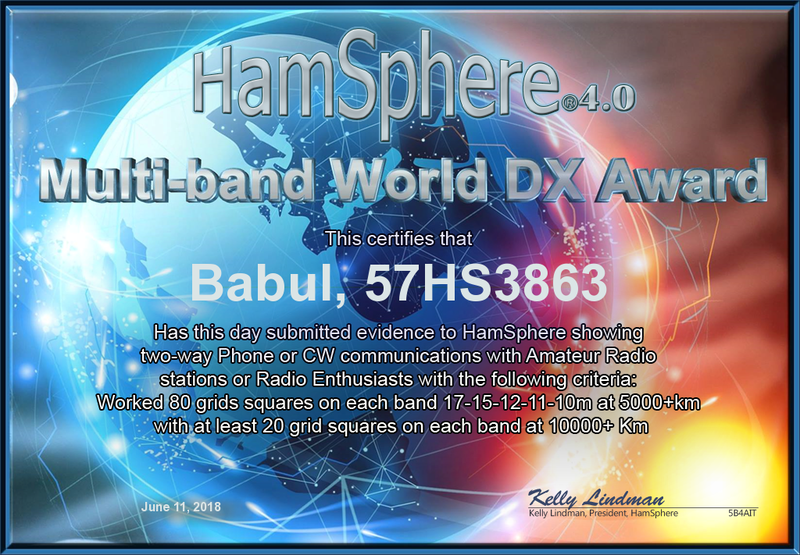 HL5BBD - Ivan from Ulsan City, South Korea. 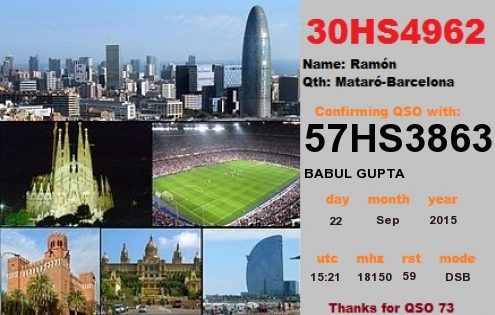 30HS4962 - Ramon from Mataro, Barcelona, Spain. 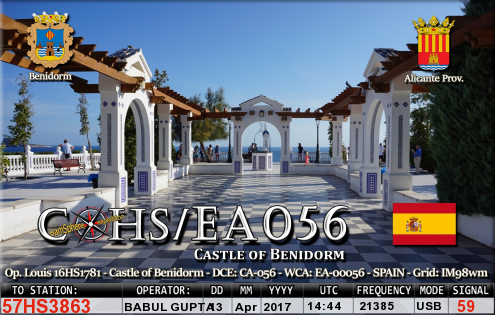 COHS/EA056 - Louis from Castke of Benidorm, Spain. 4S7DA - Denver from Colombo, Sri Lanka. 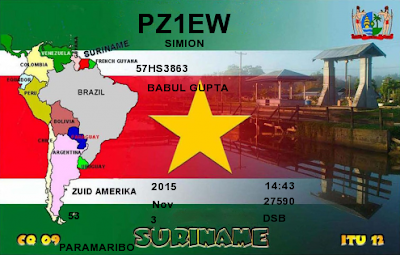 PZ1EW - Simion from Paramaribo, Suriname. 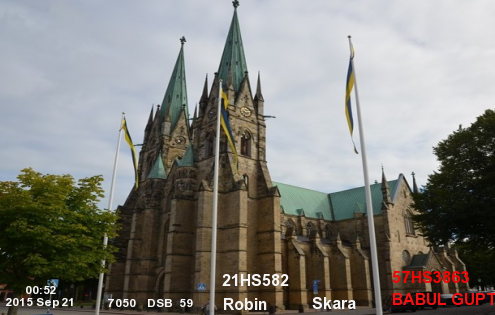 21HS582 - Robin from Skara, Sweden. 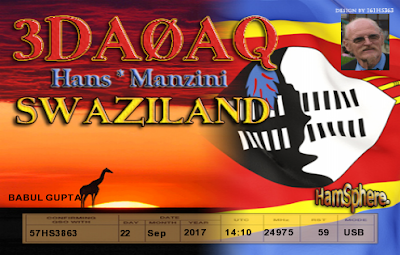 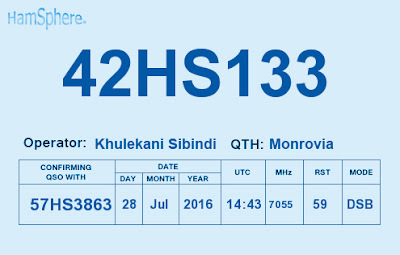 3DA0AQ - Hans from Manzini, Swaziland. 15HS177 - Clement from Buesswil bei Buren, Switzerland. 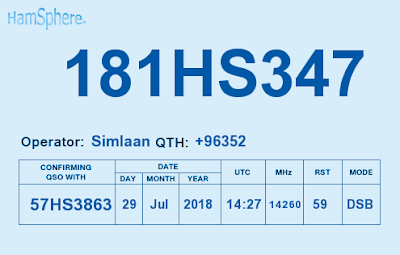 181HS347 - Simlaan from Syria. 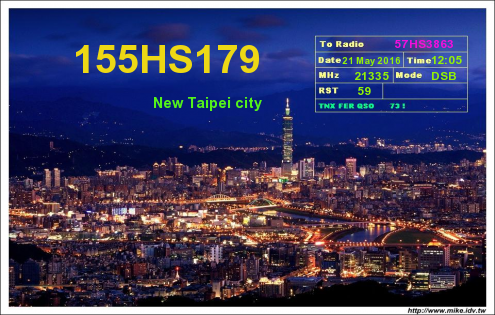 155HS179 - Len from New Taipei City, Taiwan. 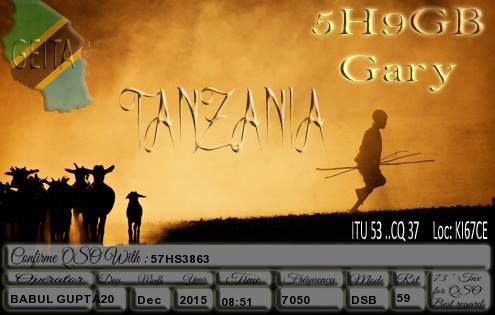 5H9GB - Gary from Tanzania. HS/JA2DOU - Toshi Y from Bangkok, Thailand. 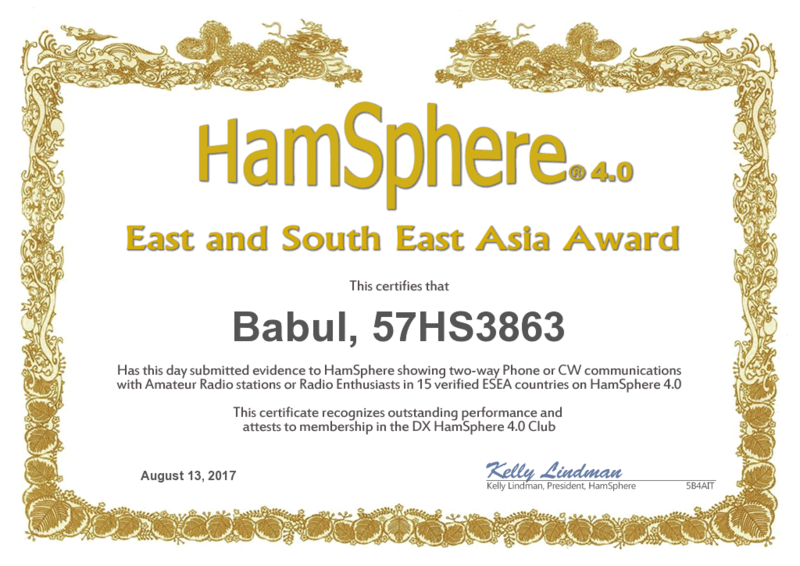 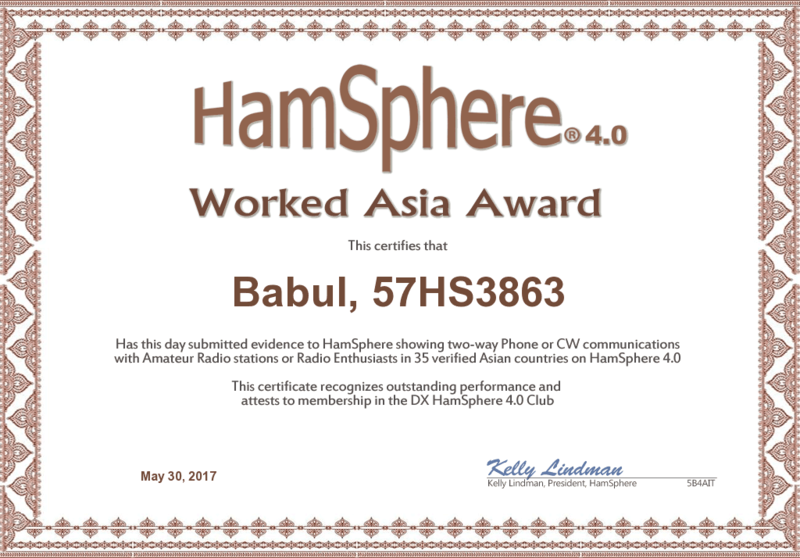 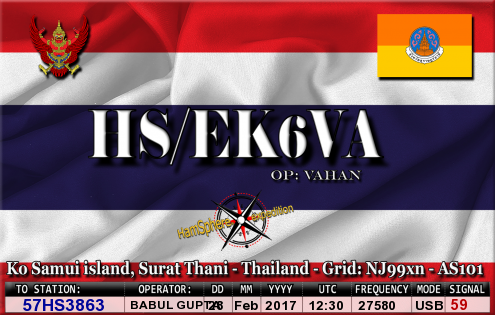 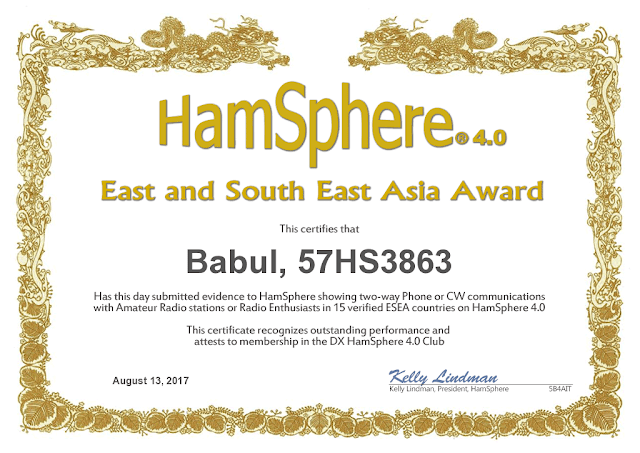 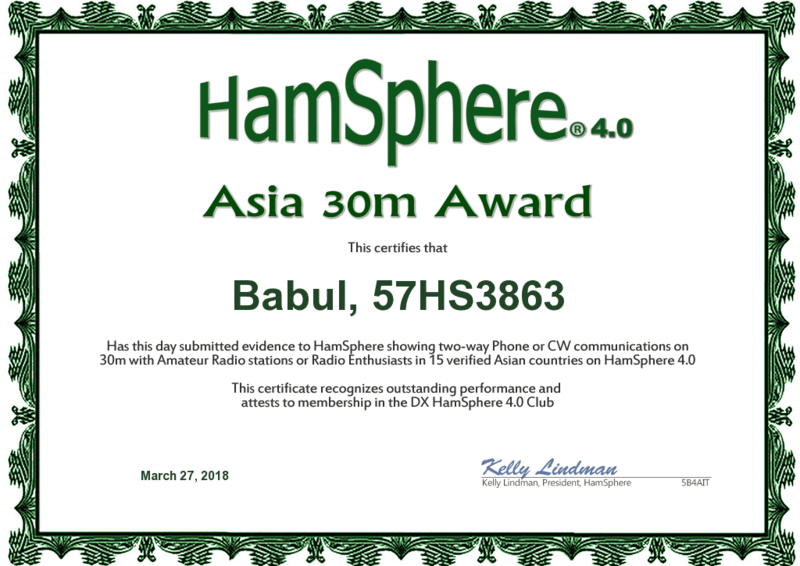 HS/EK6VA - Vahan from Samui Island, Surat Thani, Thailand. 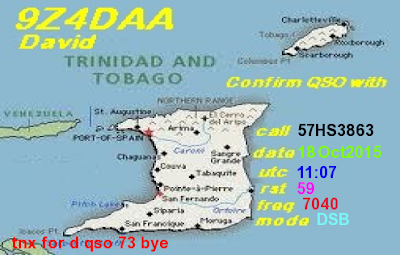 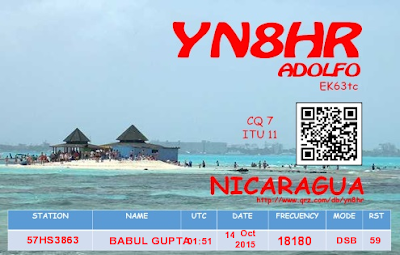 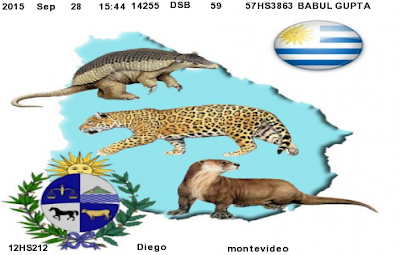 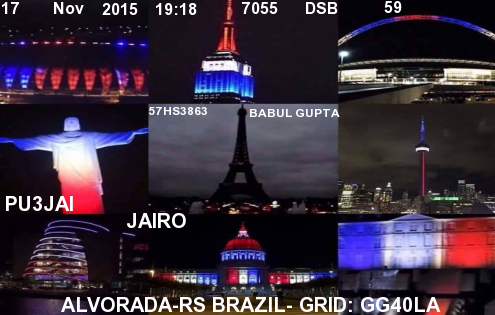 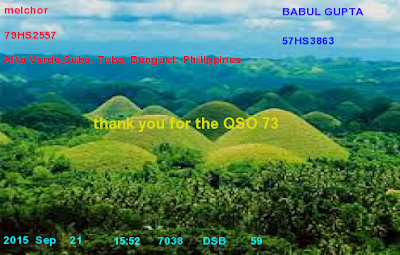 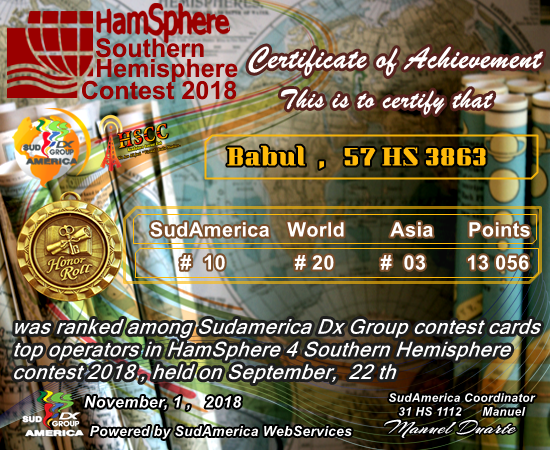 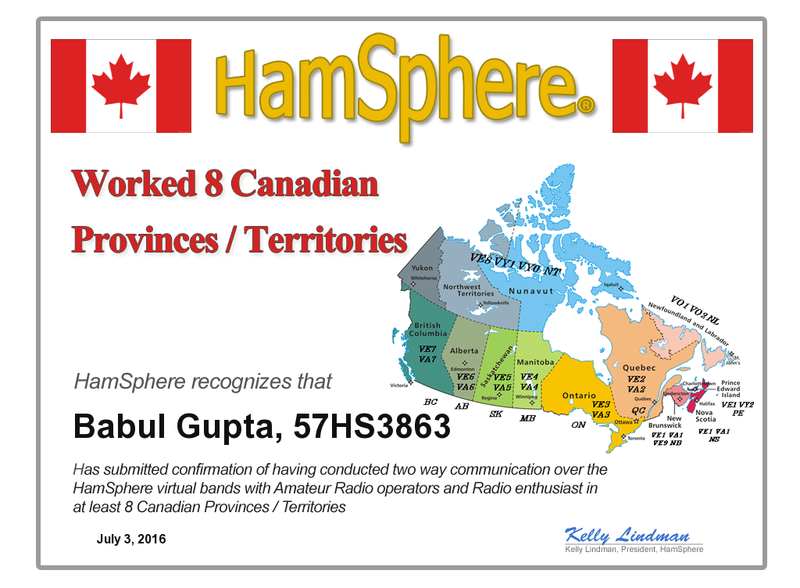 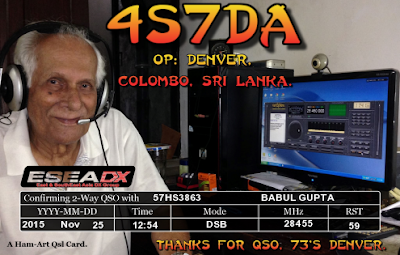 9Z4DAA - David from Trinidad and Tobago. 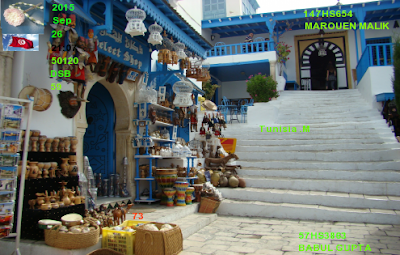 147HS654 - Marouen Malik from Tunisia. 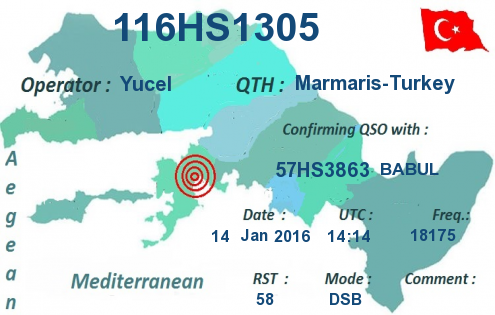 116HS1305 - Yucel from Marmaris, Turkey. 314HS102 - Hadji from Ashgabat, Turkmenistan. US5ZZ - Serge from Nikolaev, Ukraine. 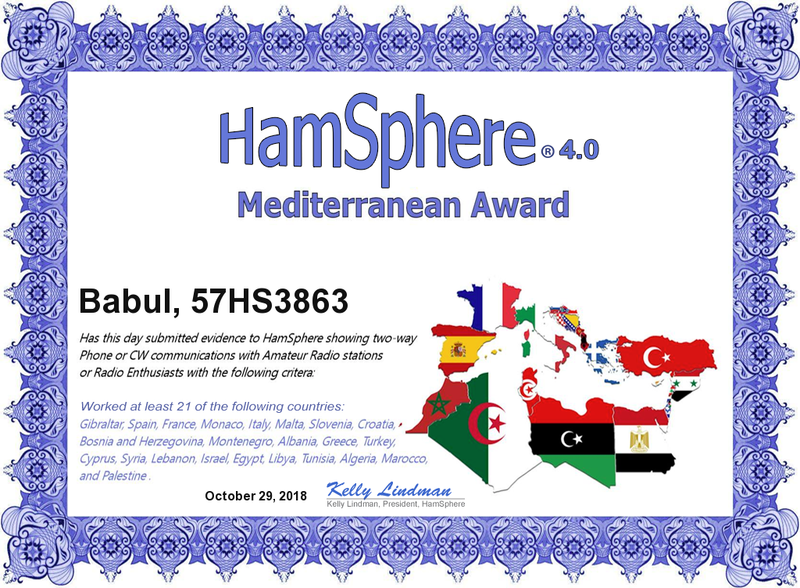 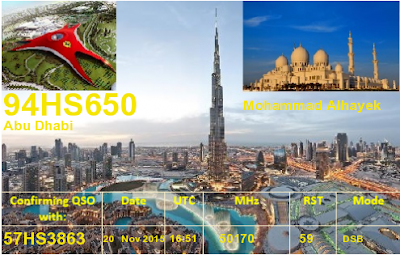 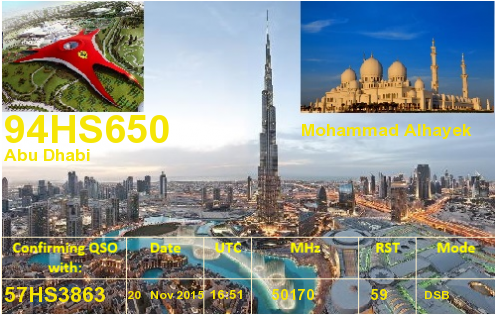 94HS650 - Mohammad Alhayek from Abu Dhabi, United Arab Emirates. 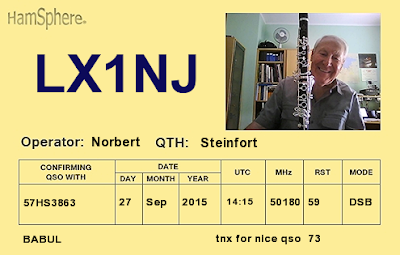 M0RCK - Robert from Camberley, United Kingdom. 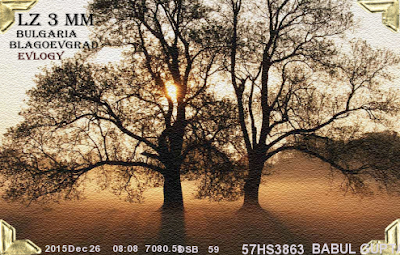 W2FKN - Rich from Monroe Township, New Jersey, USA. 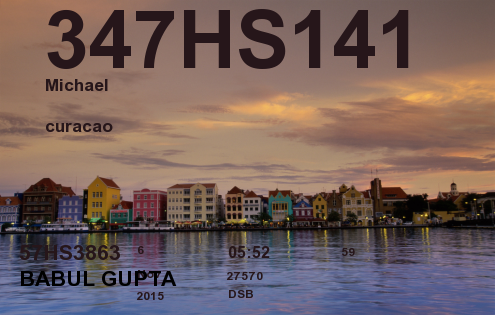 12HS212 - Diego from Montevideo, Uruguay. 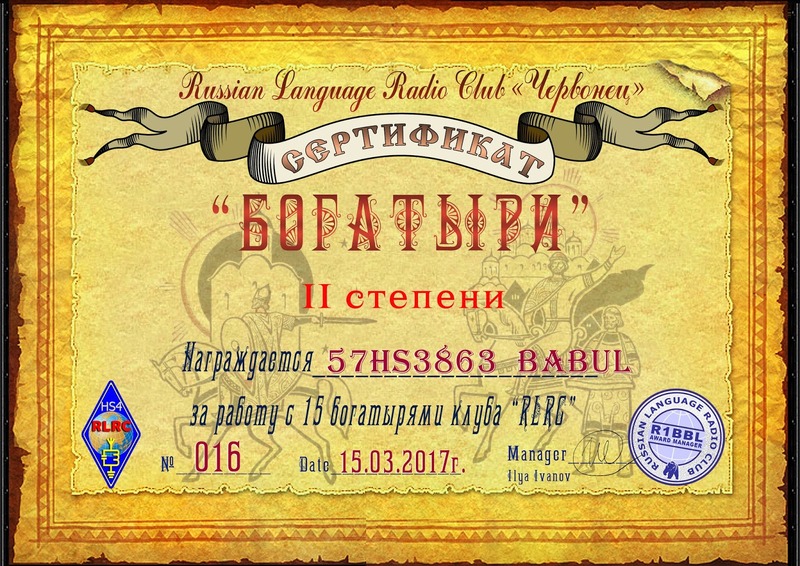 316HS138 - Sergey from Fergana, Uzbekistan. 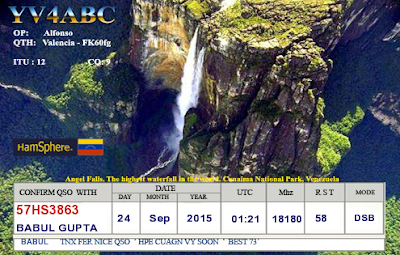 YV4ABC - Alfonso from Valencia, Venezuela. 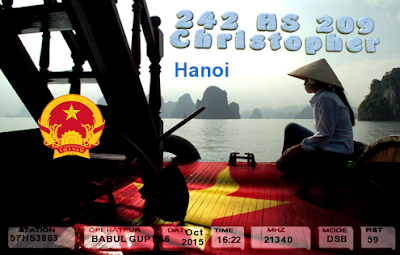 242HS209 - Christopher from Hanoi, Vietnam. 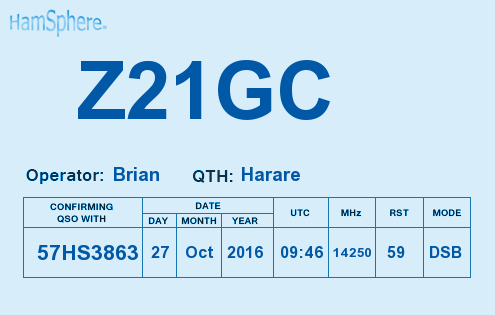 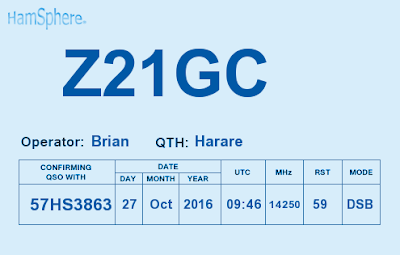 Z21GC - Brian from Harare, Zimbabwe.